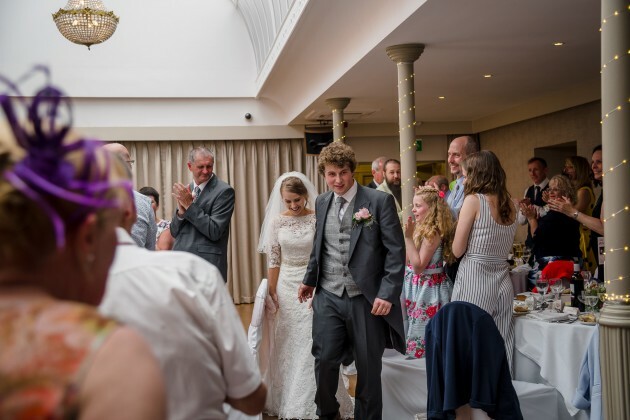 Or should I say how we first met Harry and Becky? 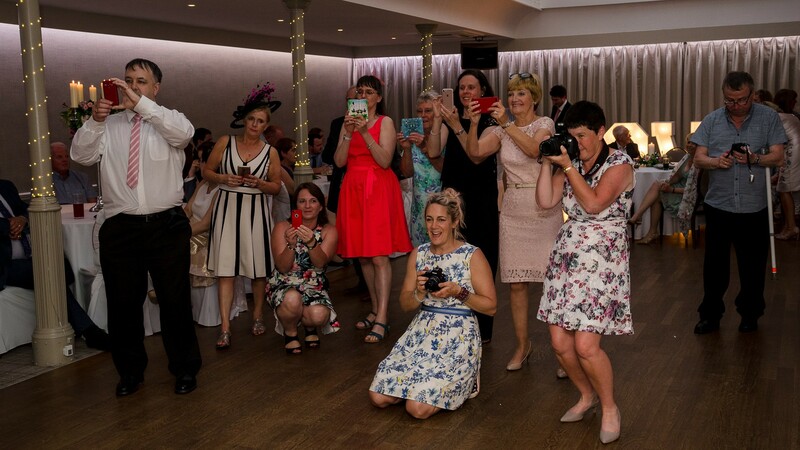 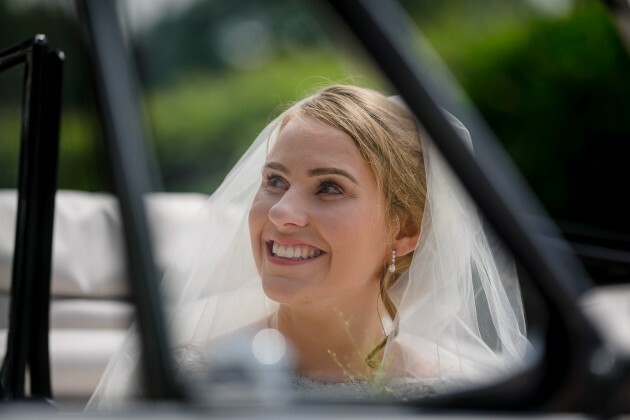 Our first meeting with Becky was when she came into our previous studio along with her Mum, Karen 3 years ago, at which point they hadn't actually booked a venue for her Wedding, but Becky just told us she loved our style of Wedding Photography and had stalked us just a little. 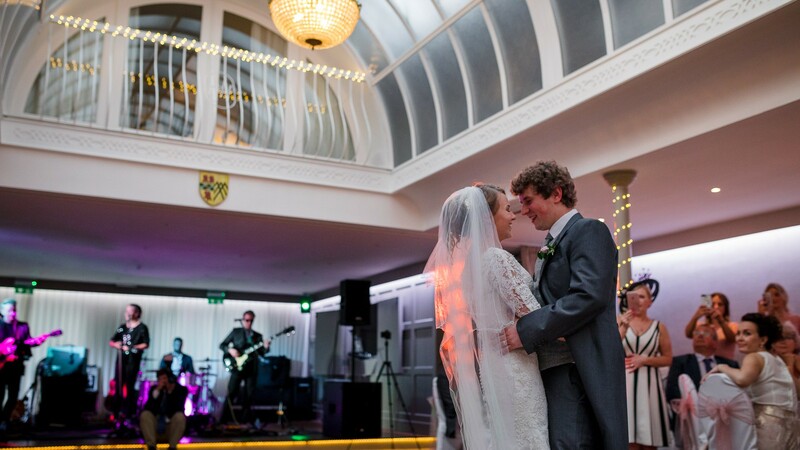 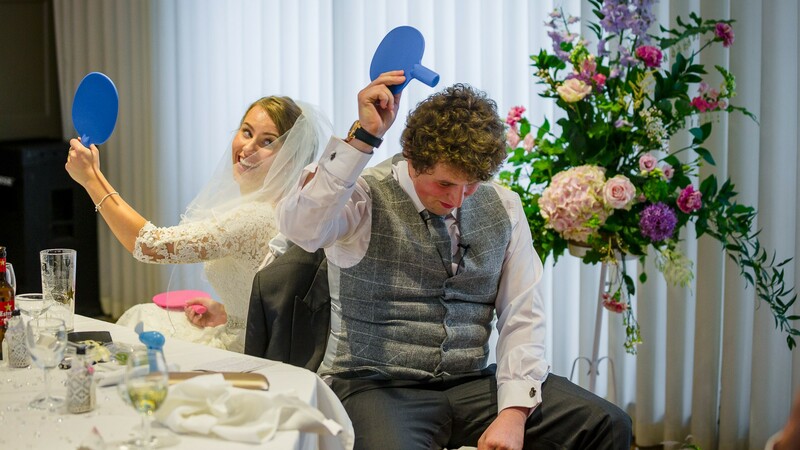 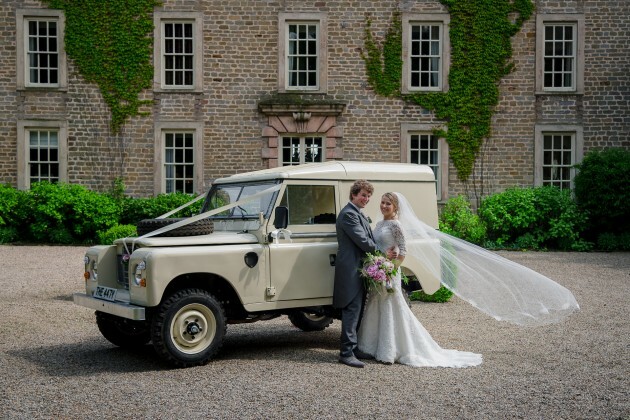 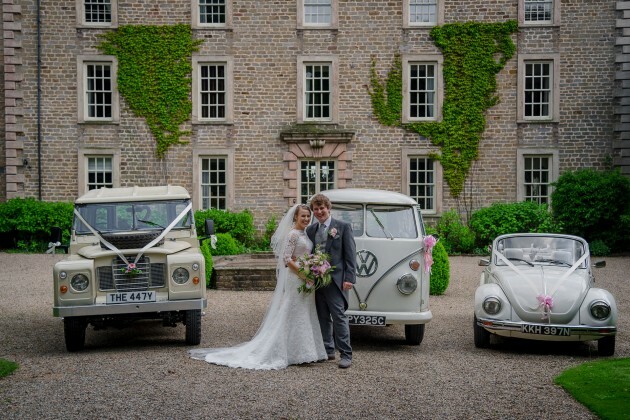 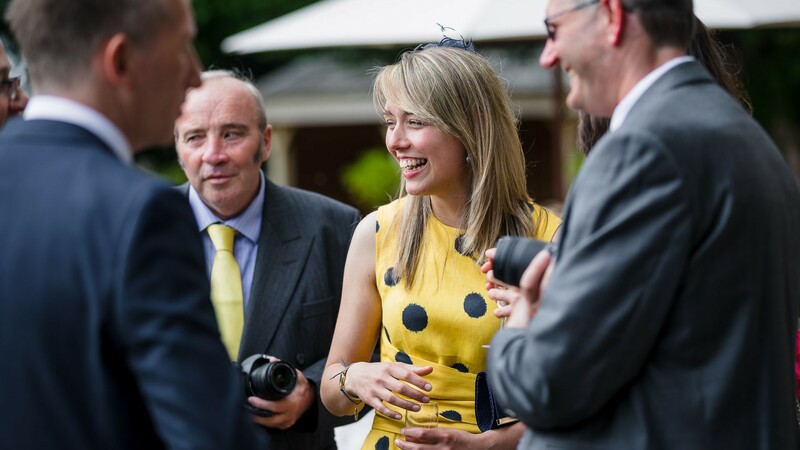 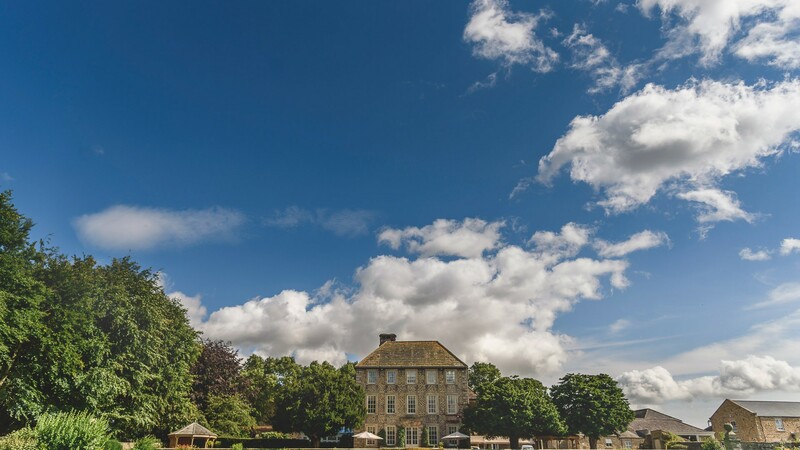 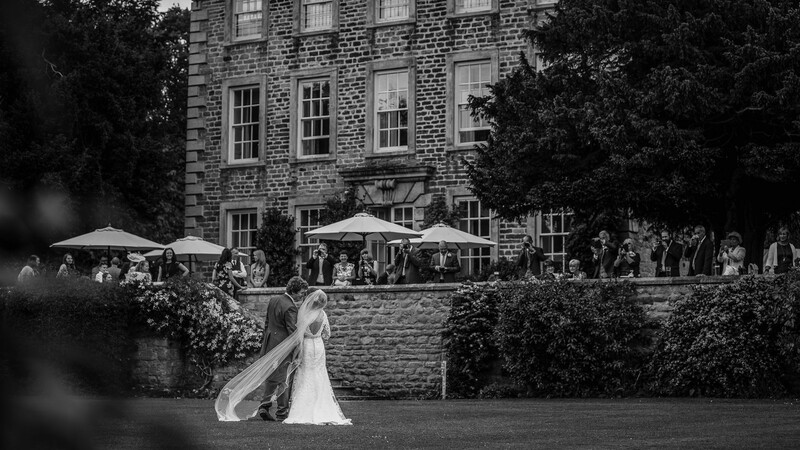 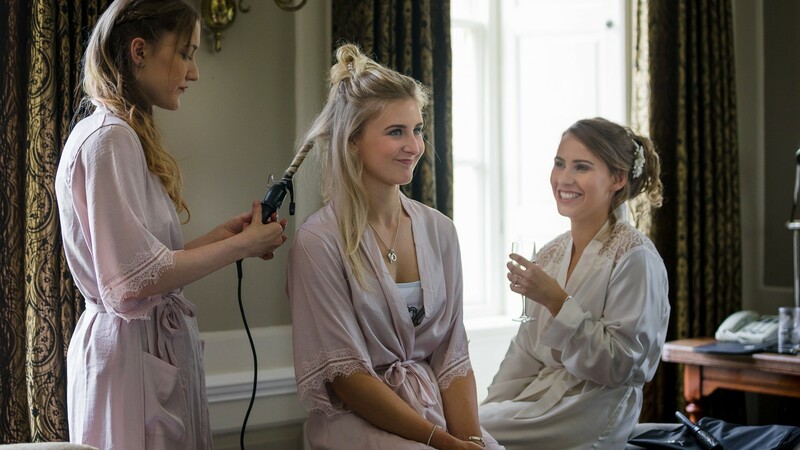 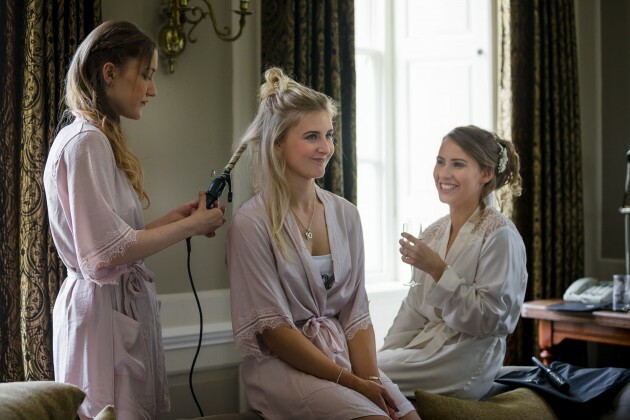 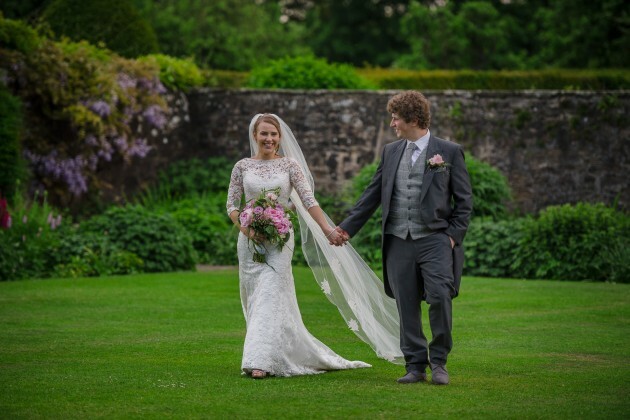 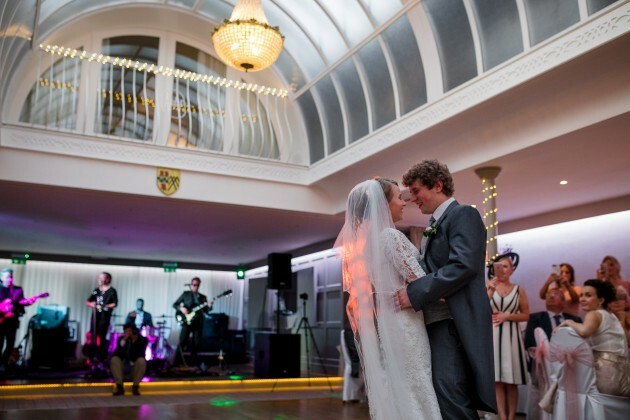 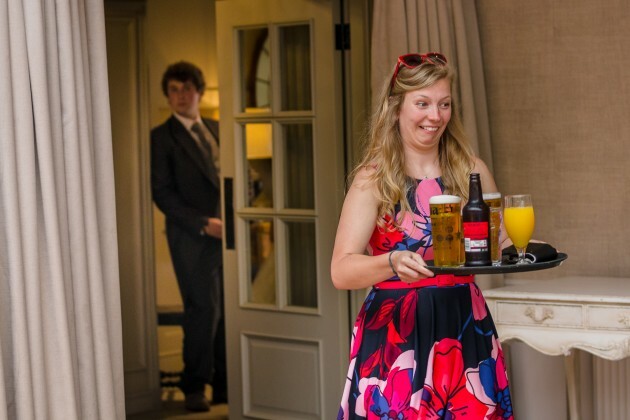 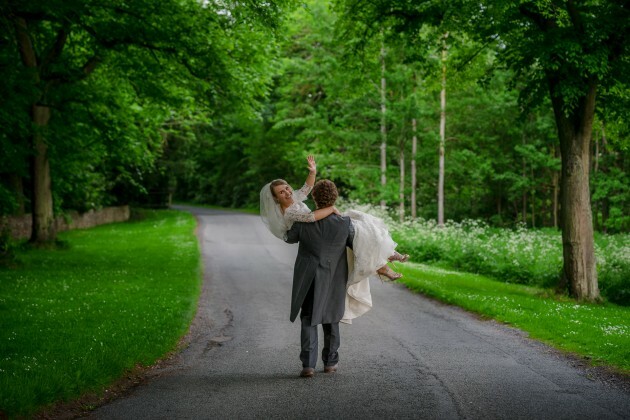 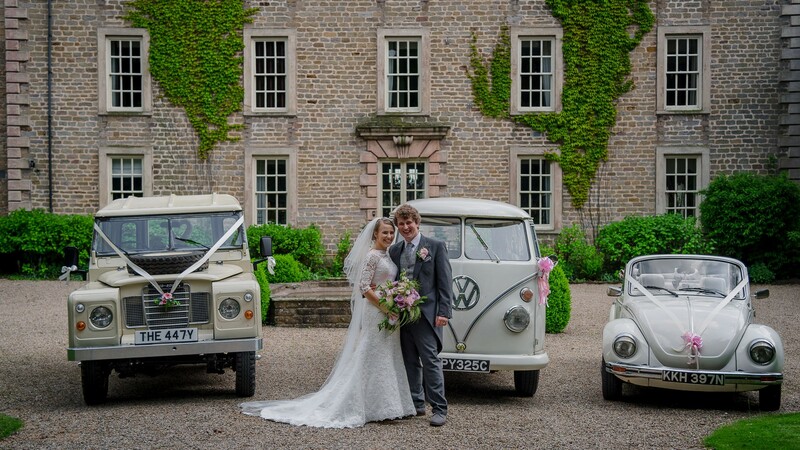 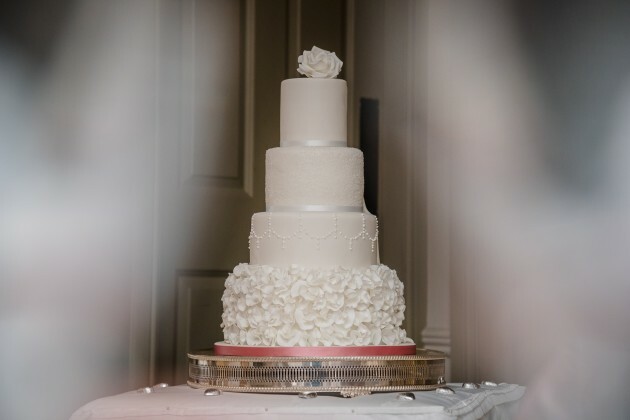 A few months later after travelling to several North East wedding venues Becky chose Headlam Hall for her's and Harry's big day. 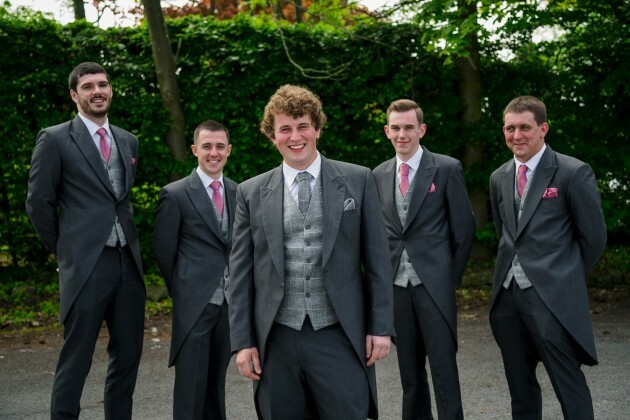 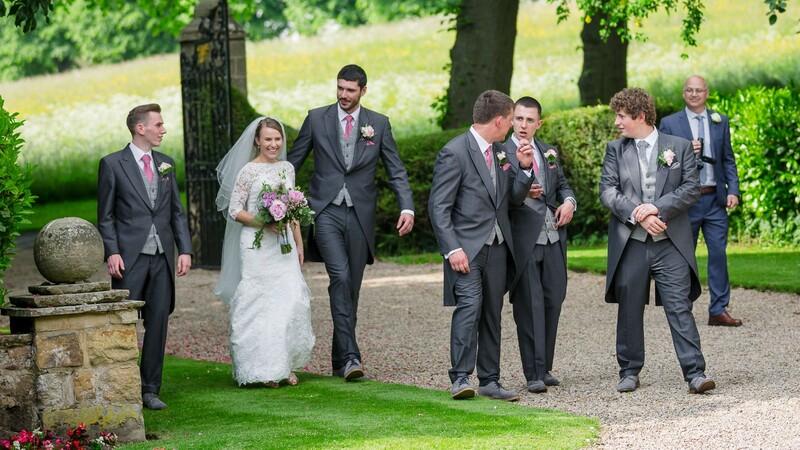 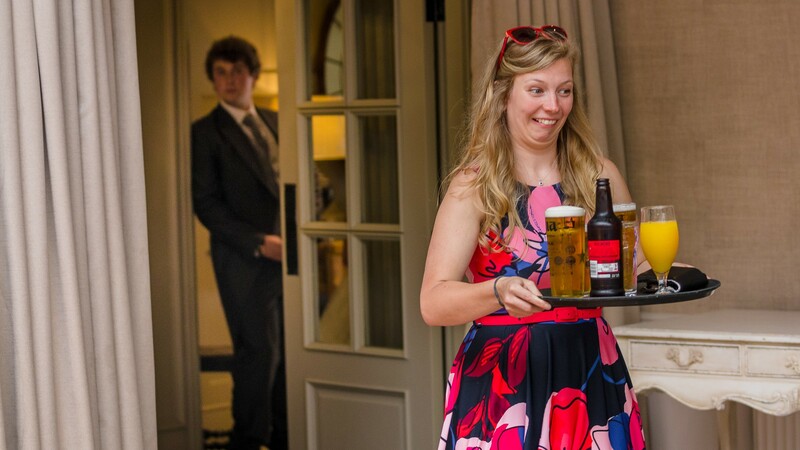 We then met her again at Headlam along with her entourage of lovely bridesmaids, with Harry tagging along. 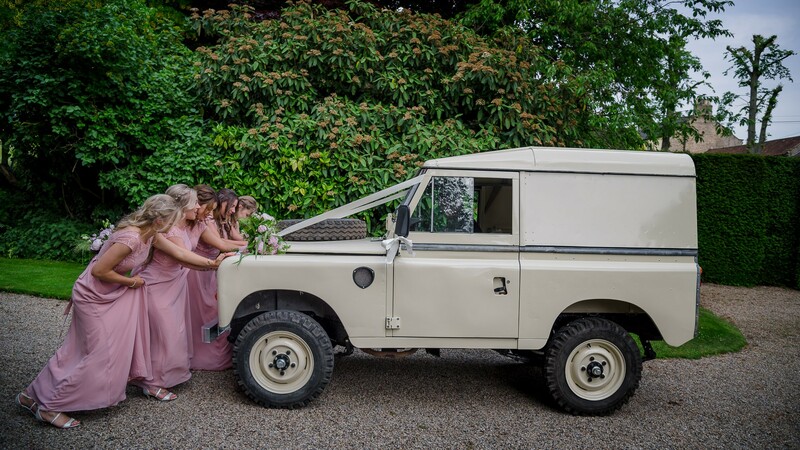 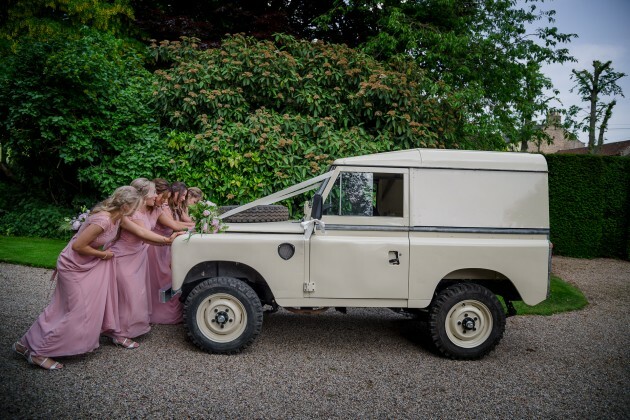 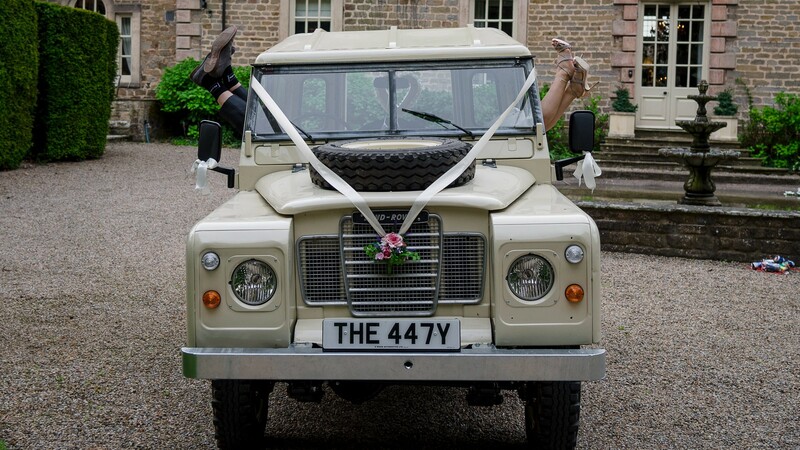 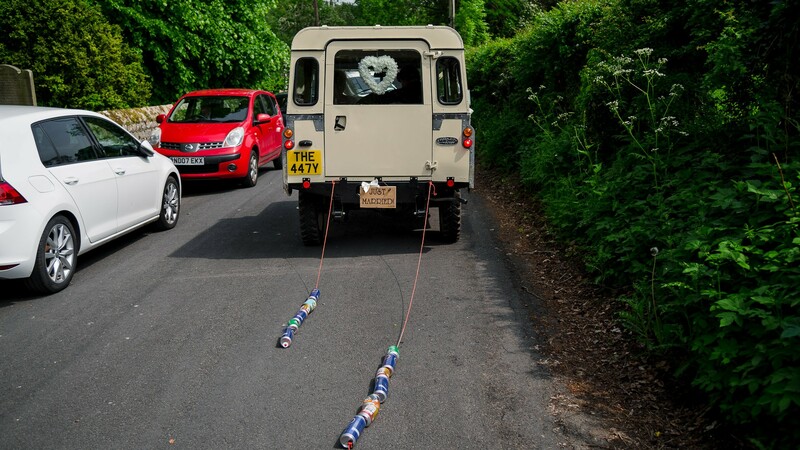 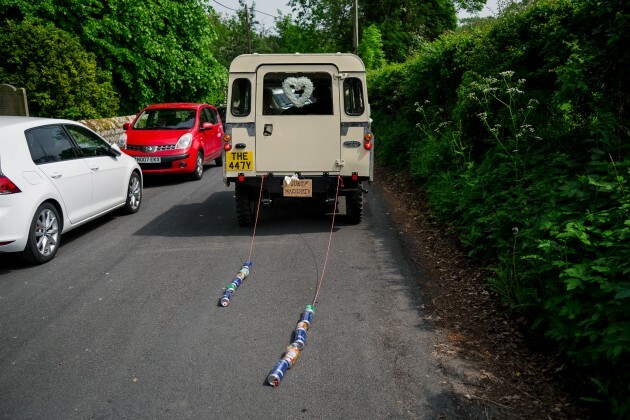 Becky mentioned to Stan that Harry loved Landrovers, and as Stan has a little knowledge of most types of automobile he enjoyed chatting with Harry, little did he know that this was the beginning of his Landrover education. 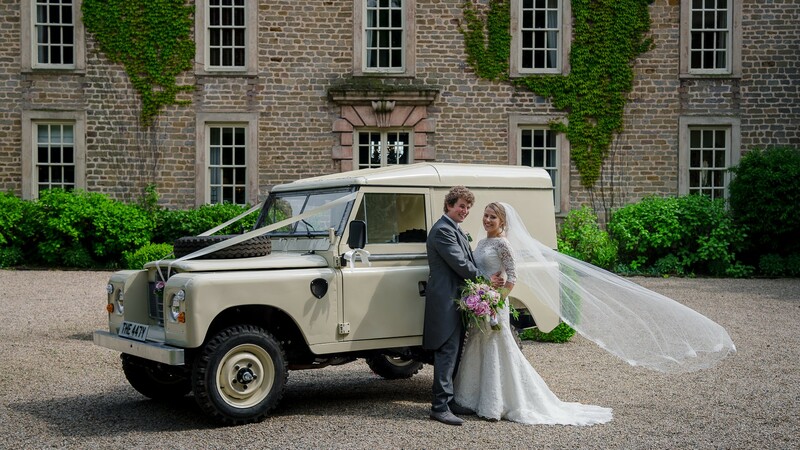 To say Harry is a Landrover fan is the understatement of the year! 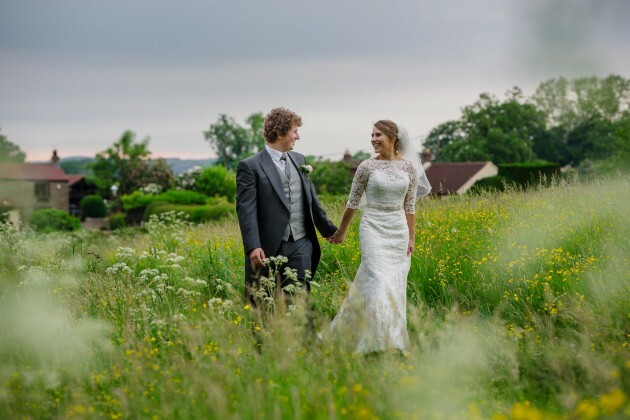 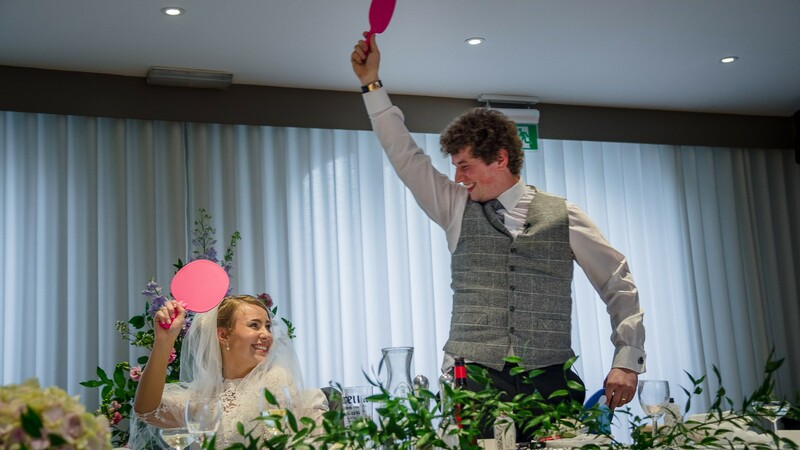 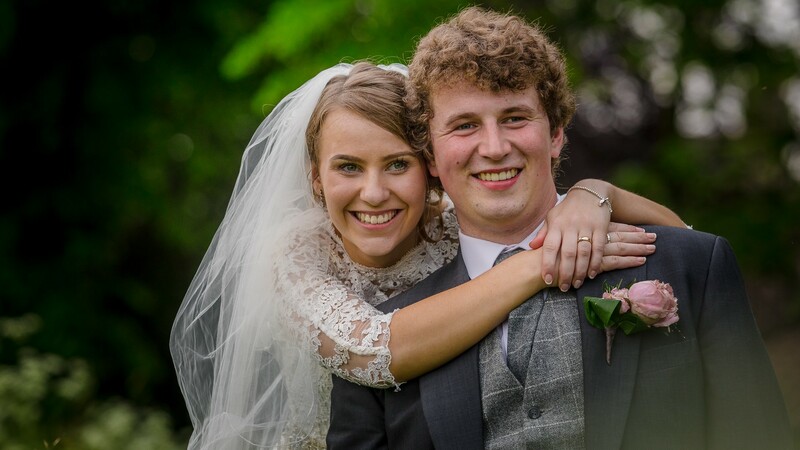 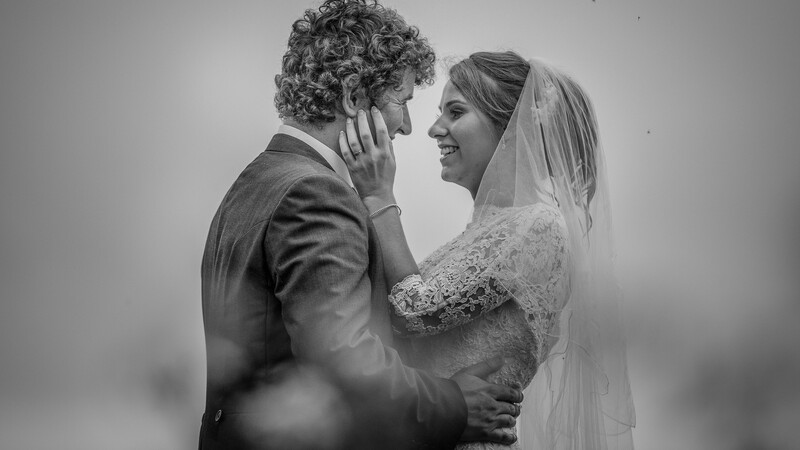 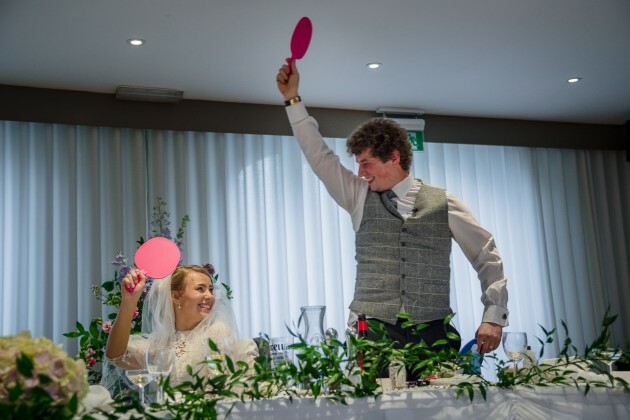 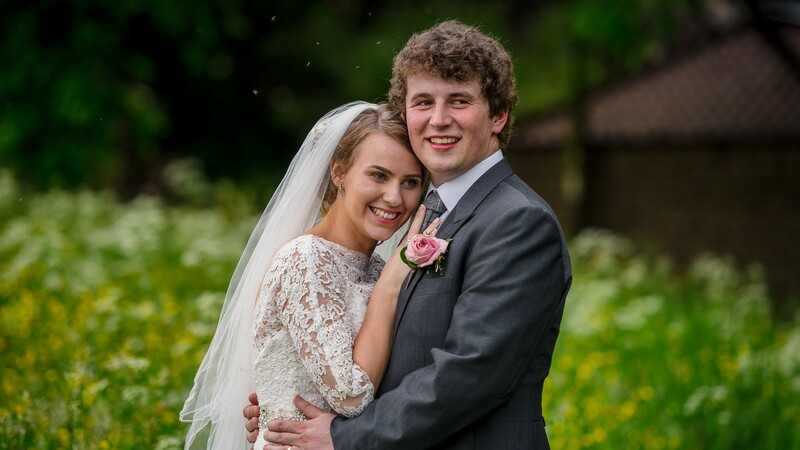 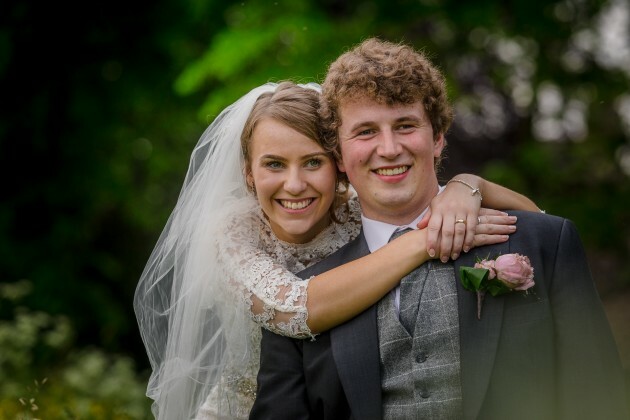 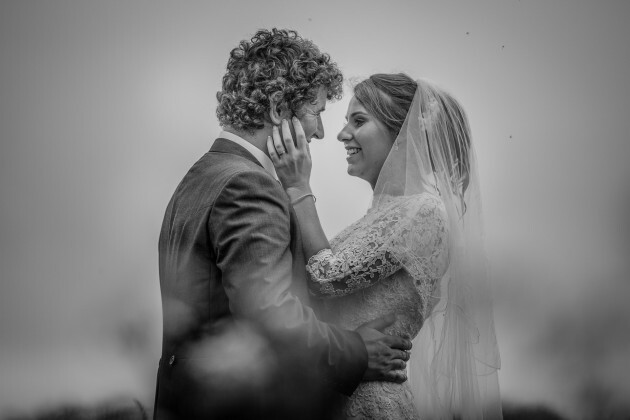 We have loved getting to know both Becky and Harry and their family and friends a little more, one of the lovely things about our job as wedding photographers is that we do sometimes feel we have been adopted into the family and we certainly did with Becky and Harry's Wedding. 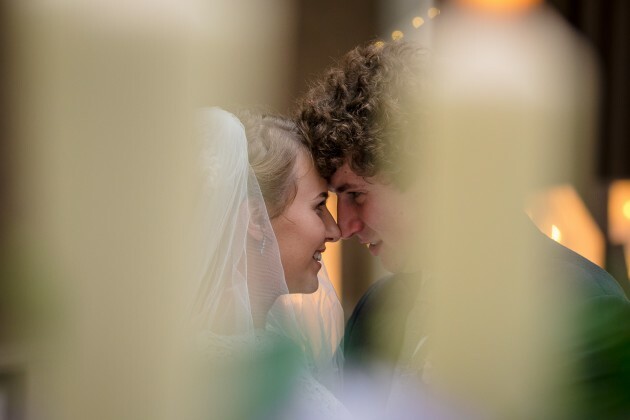 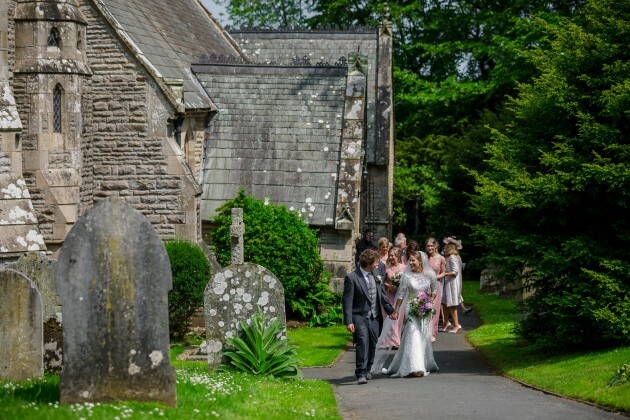 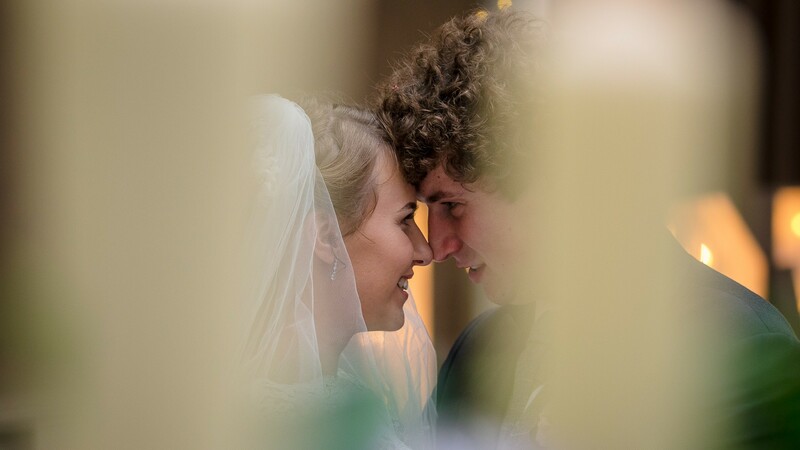 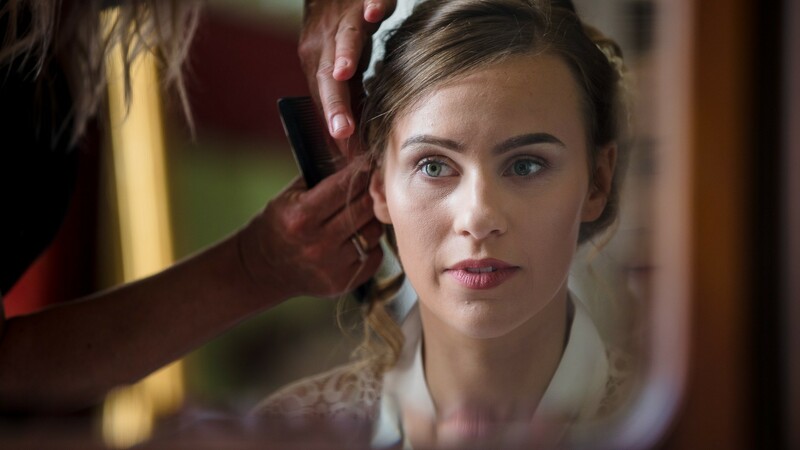 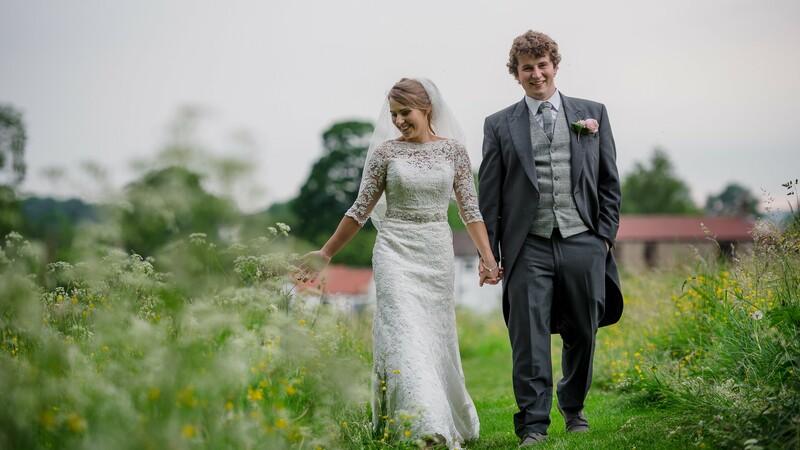 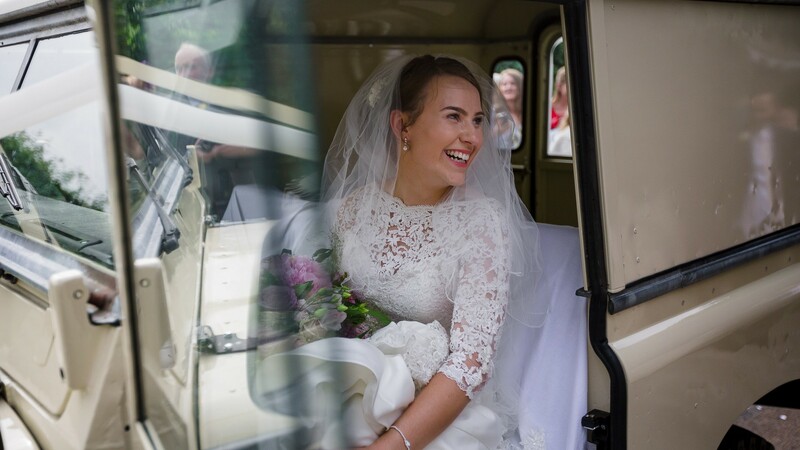 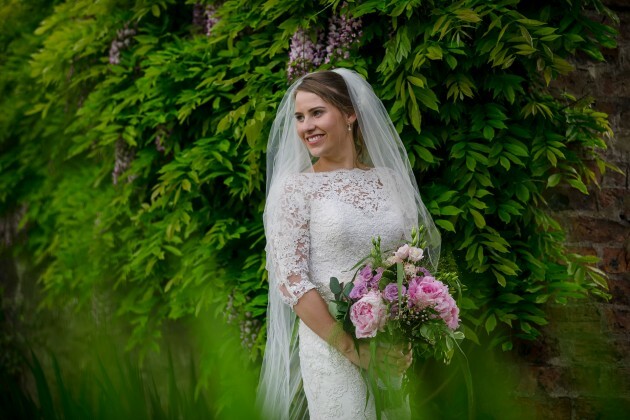 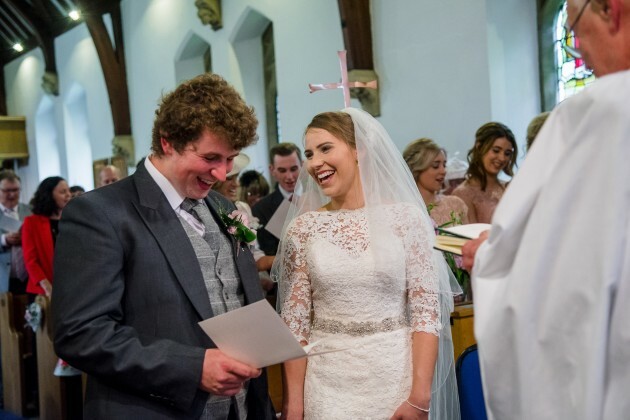 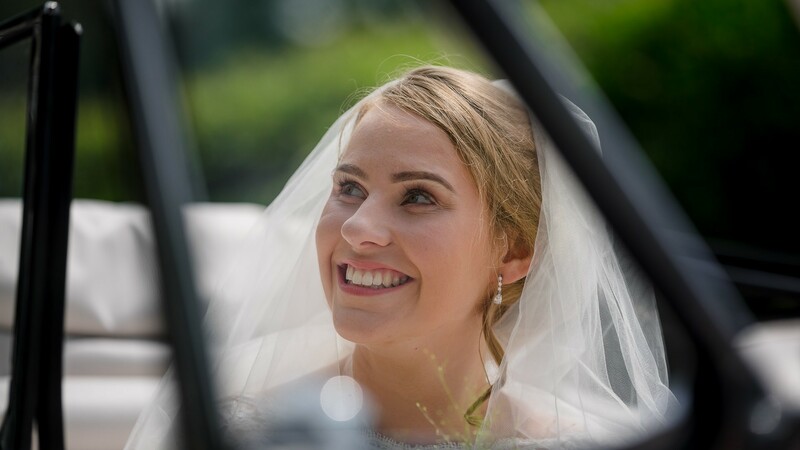 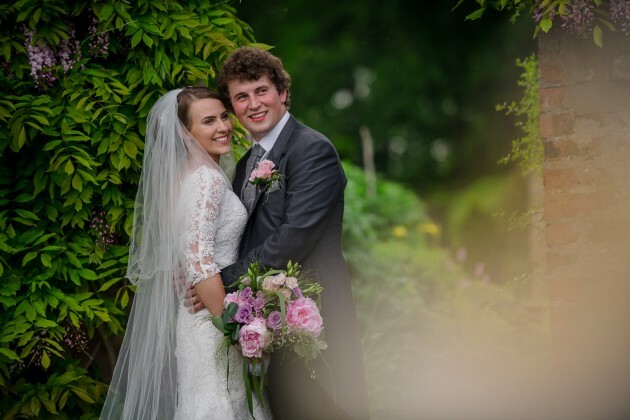 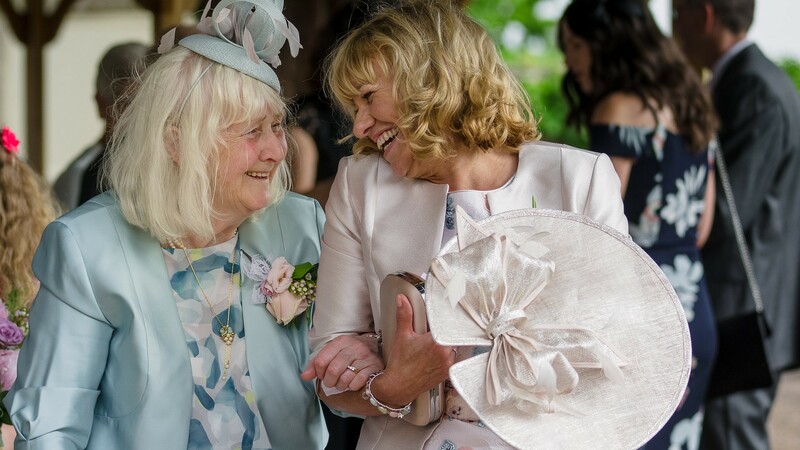 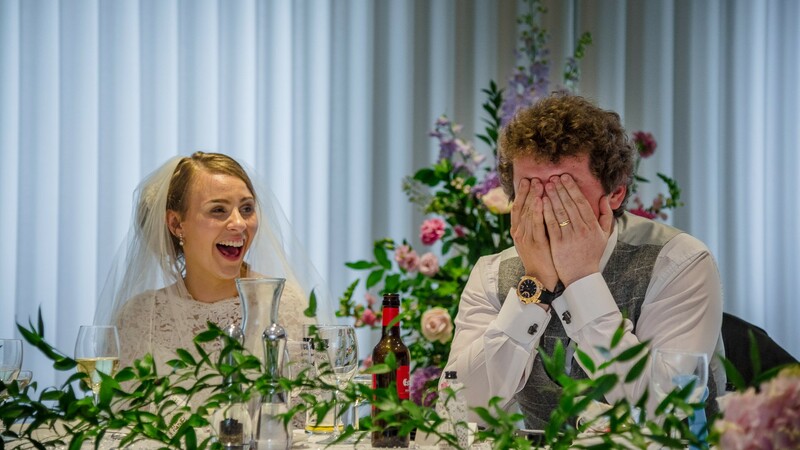 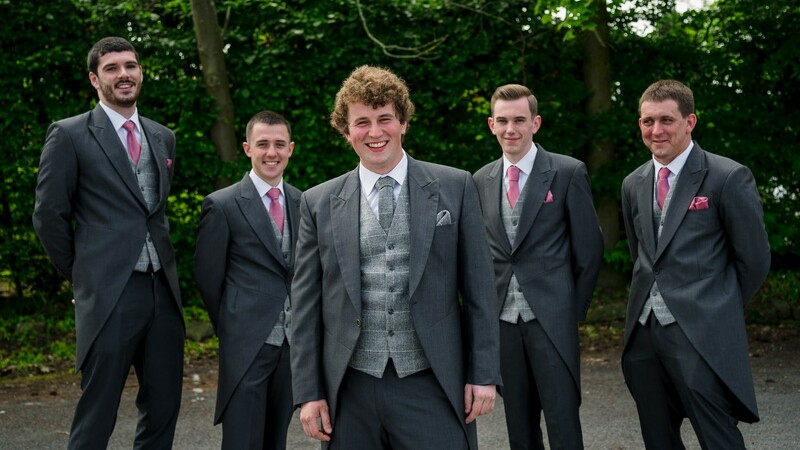 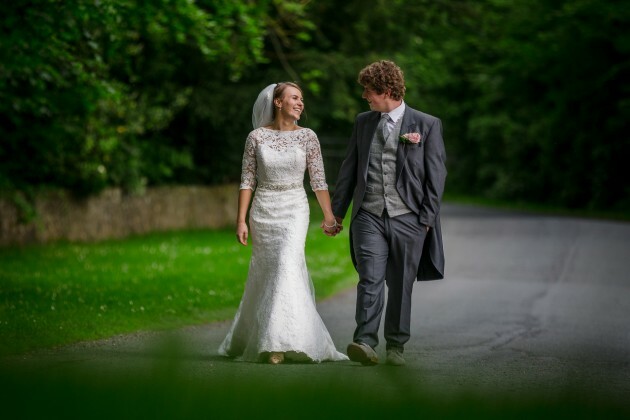 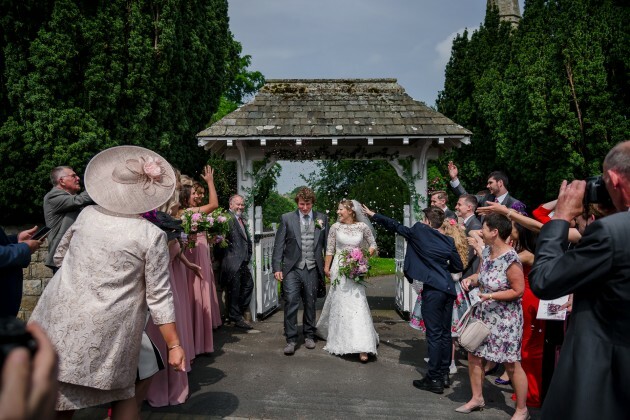 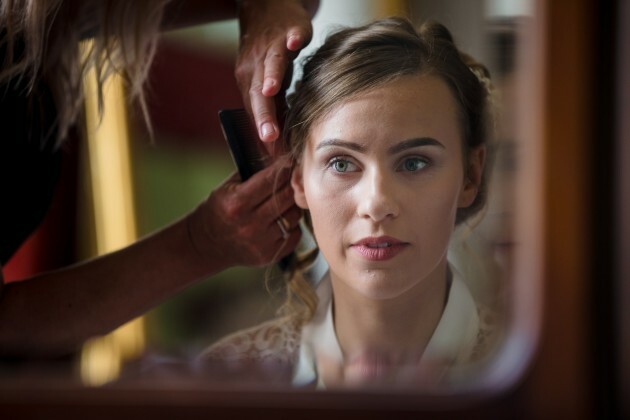 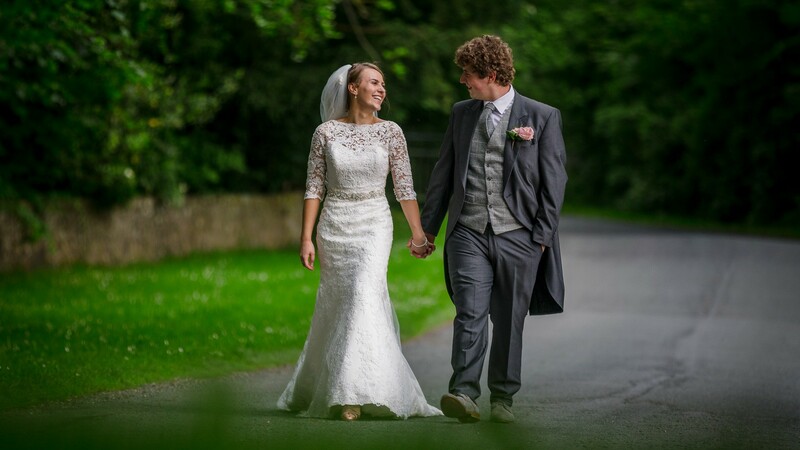 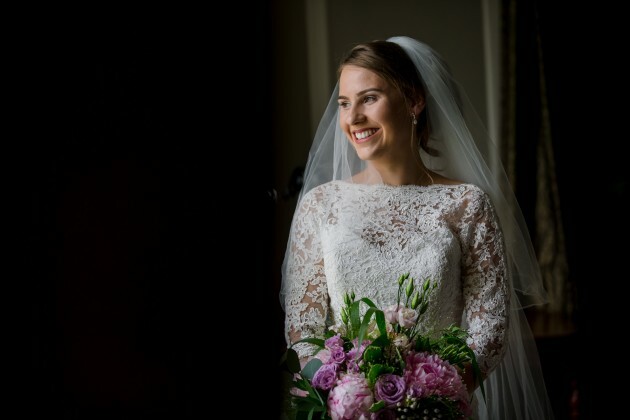 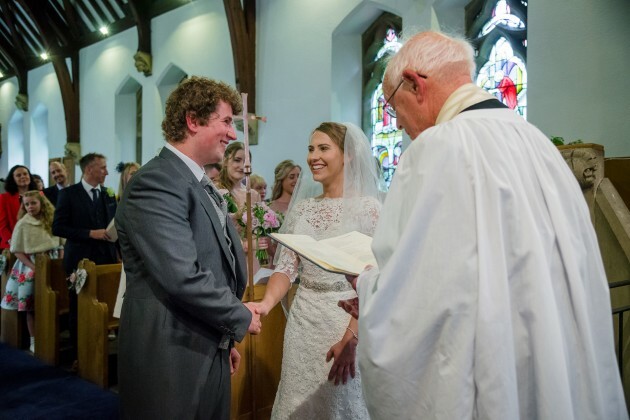 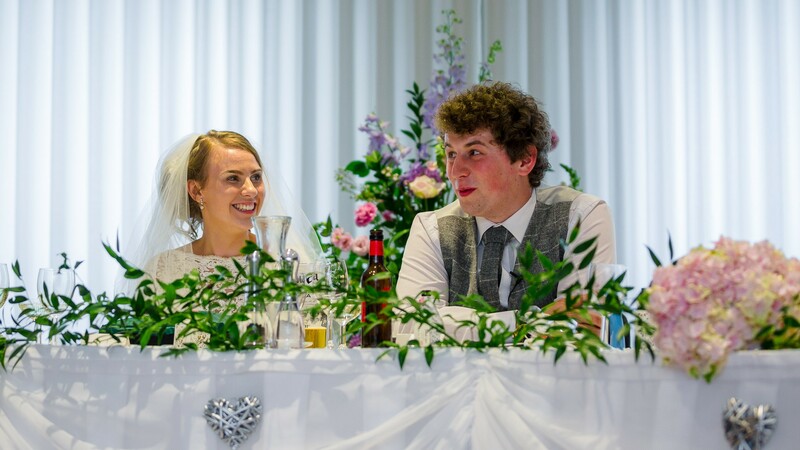 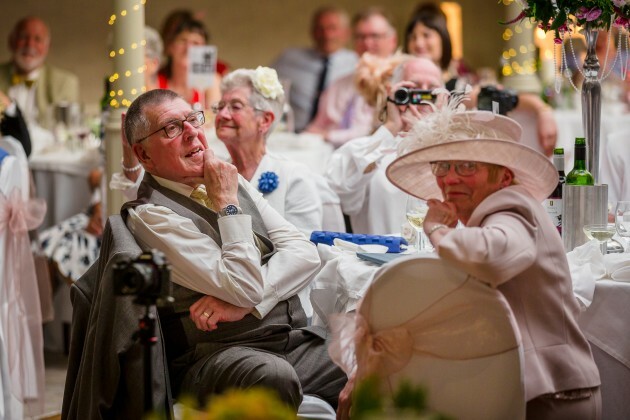 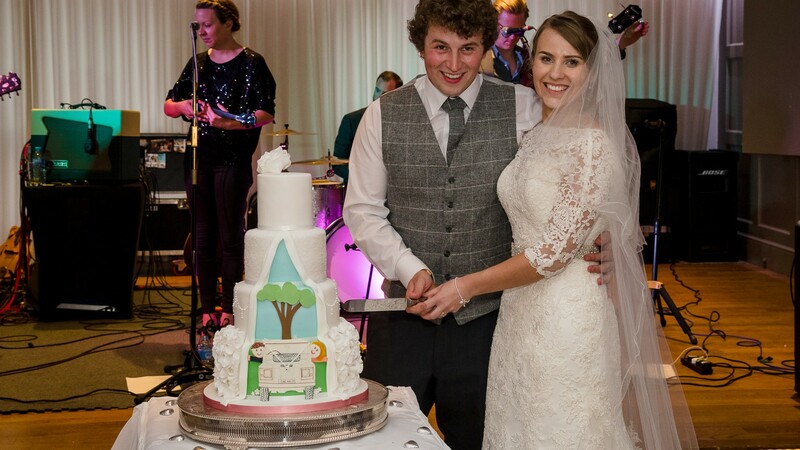 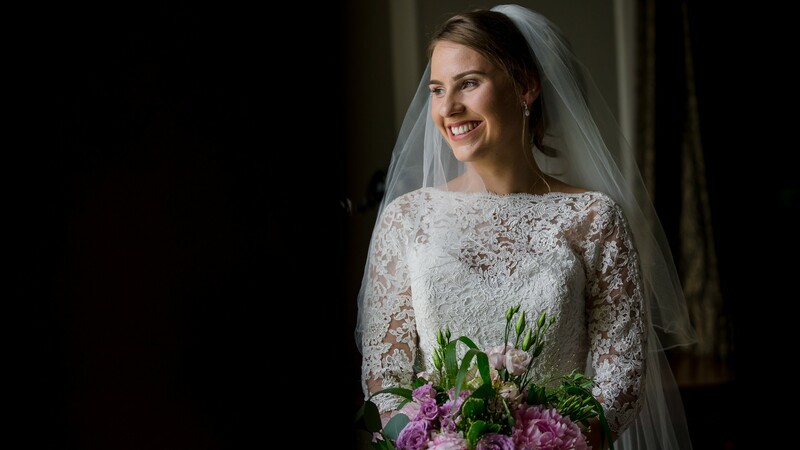 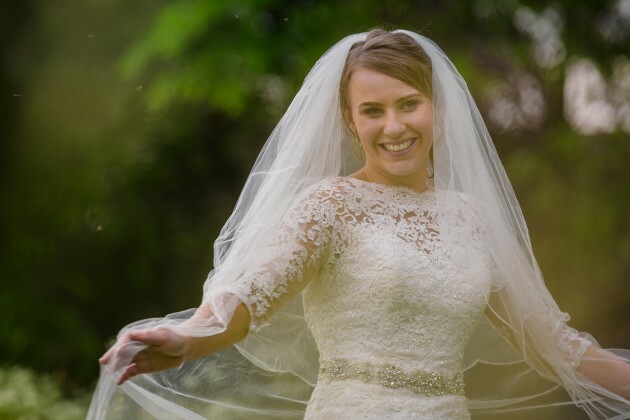 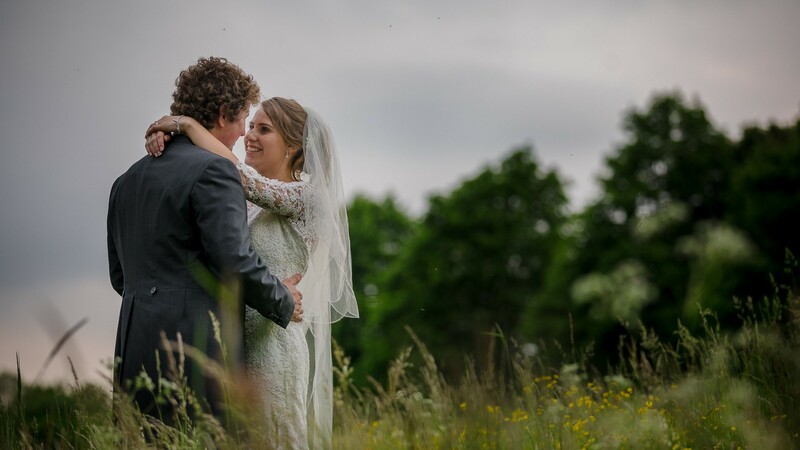 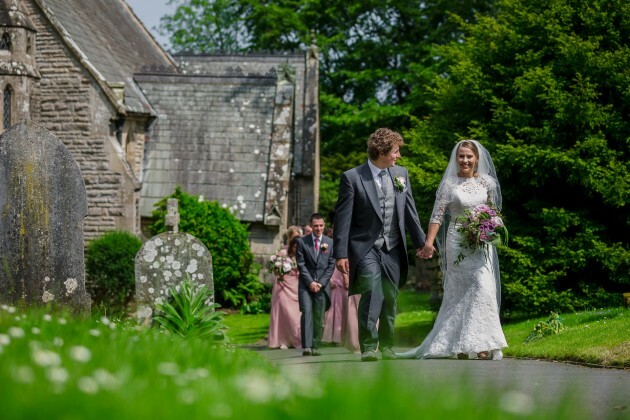 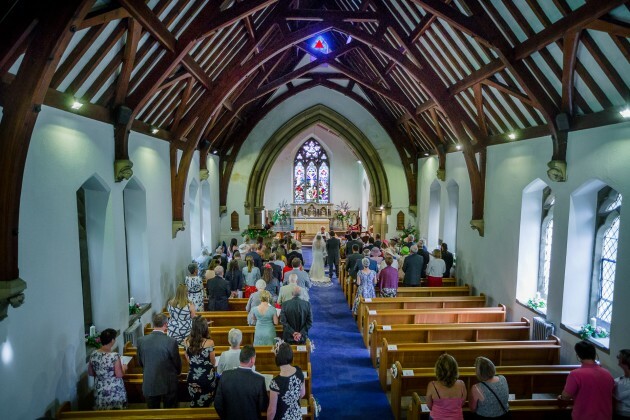 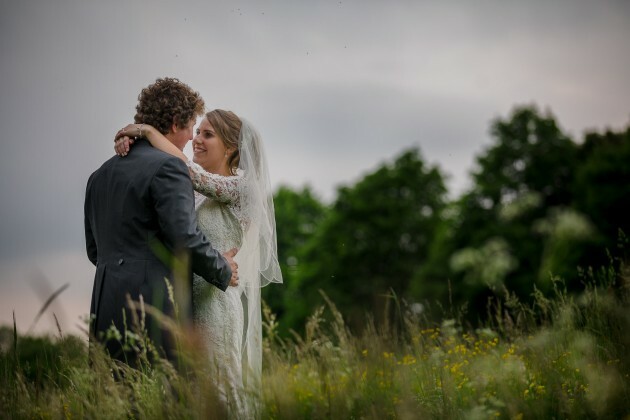 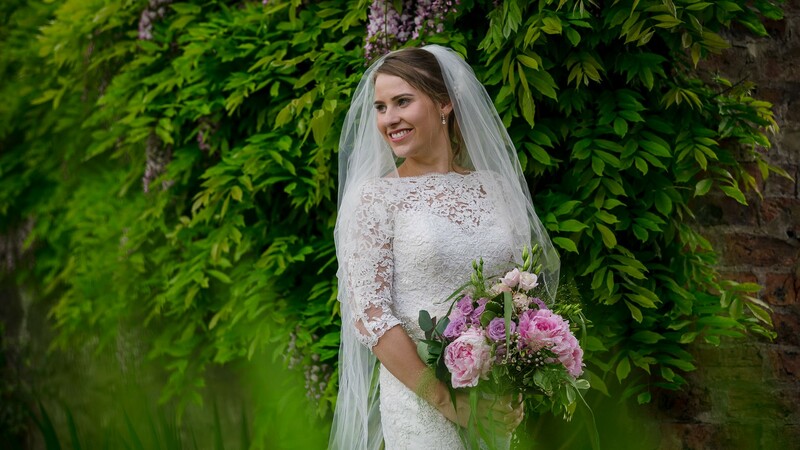 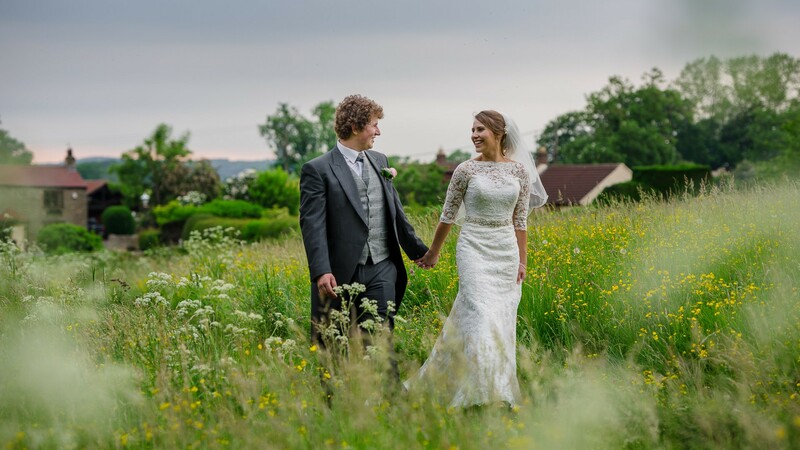 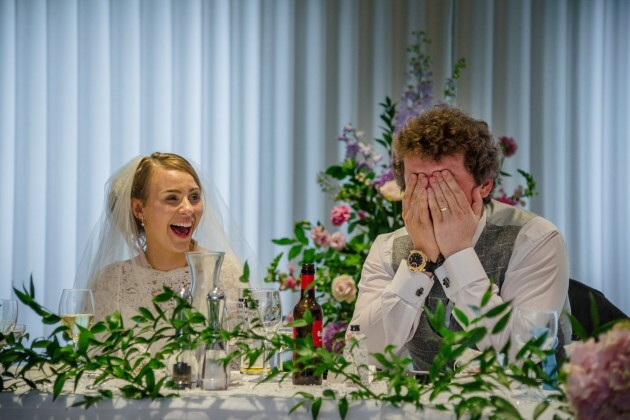 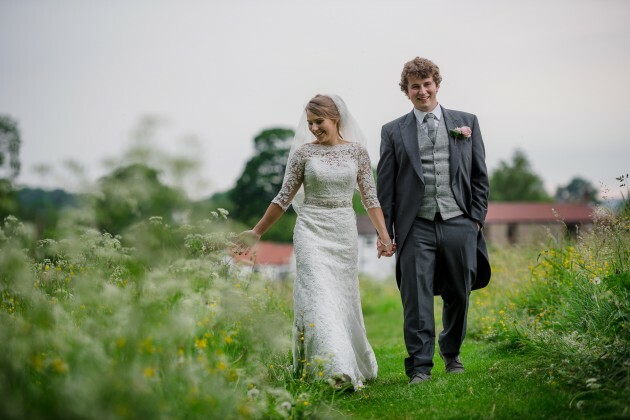 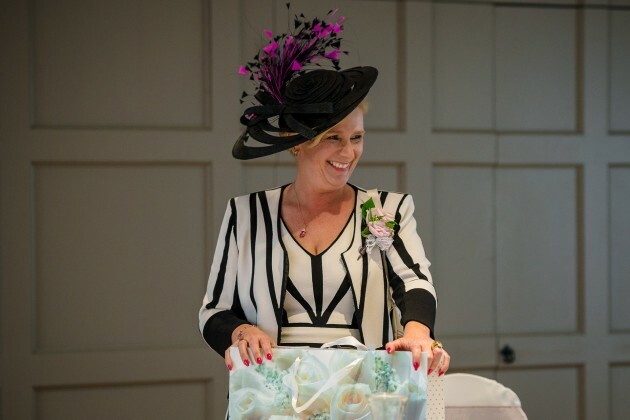 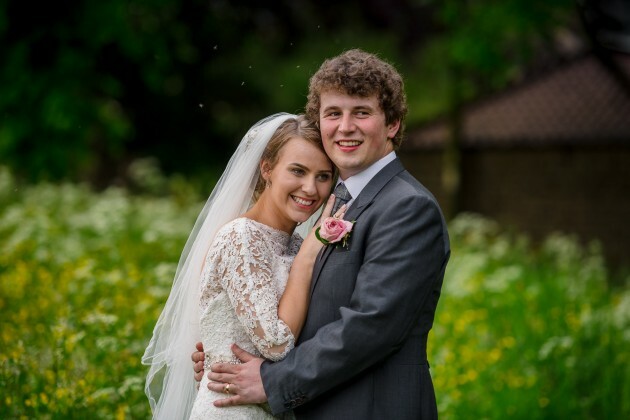 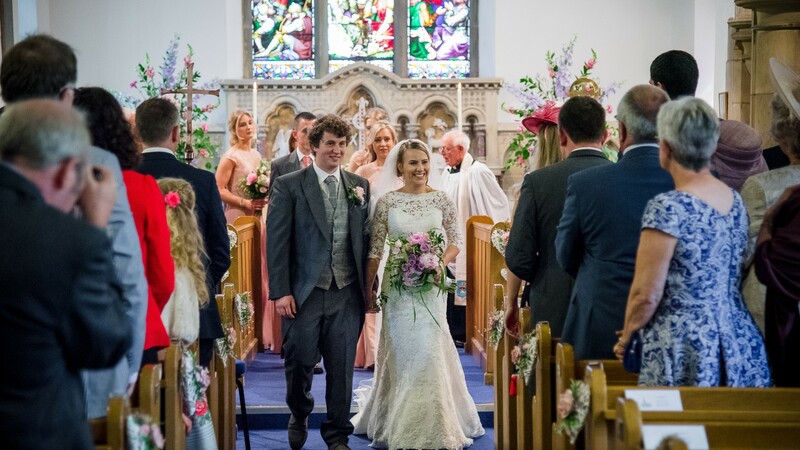 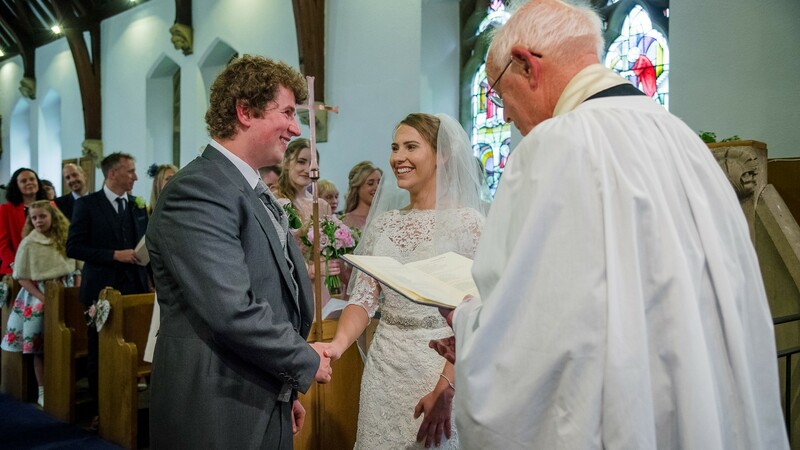 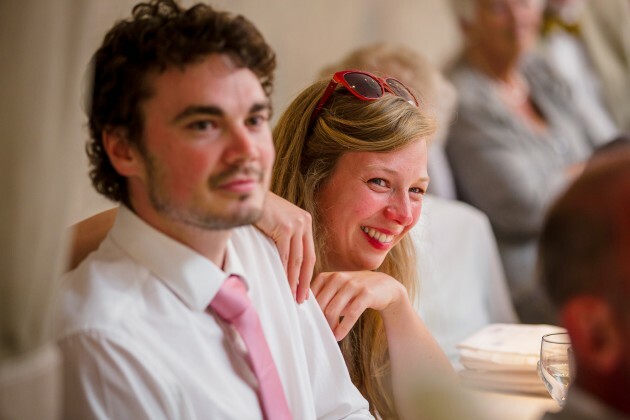 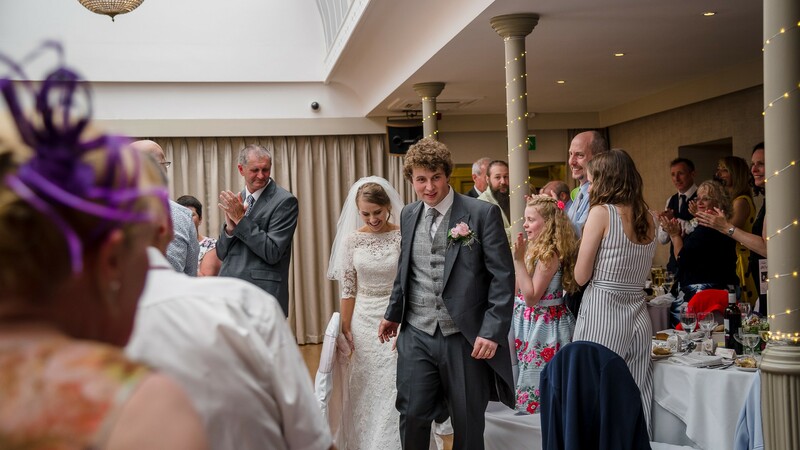 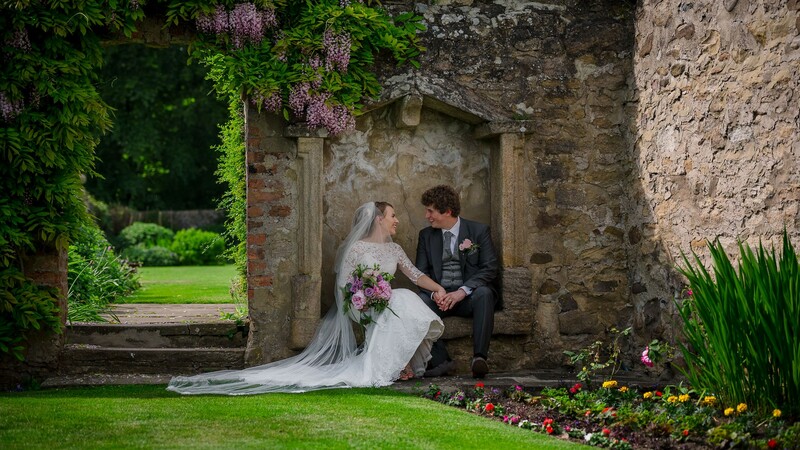 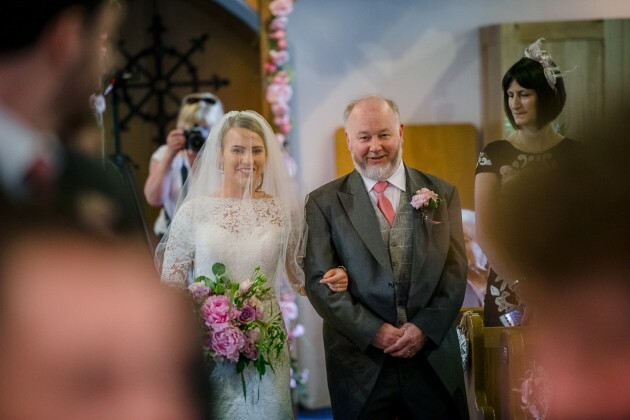 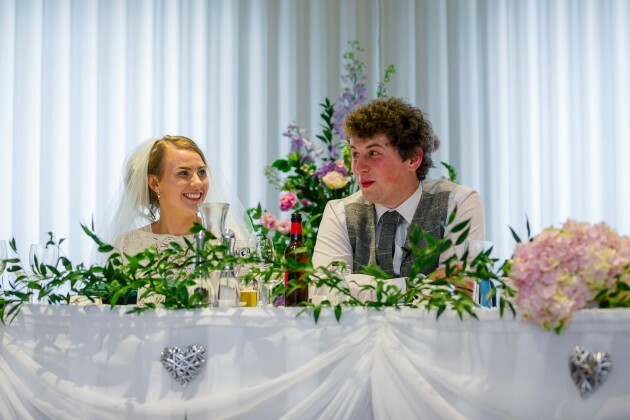 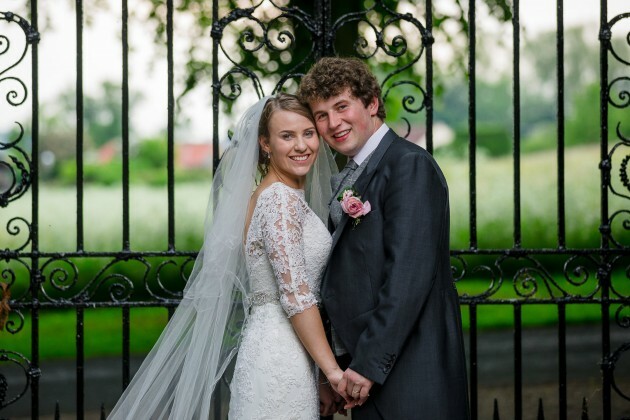 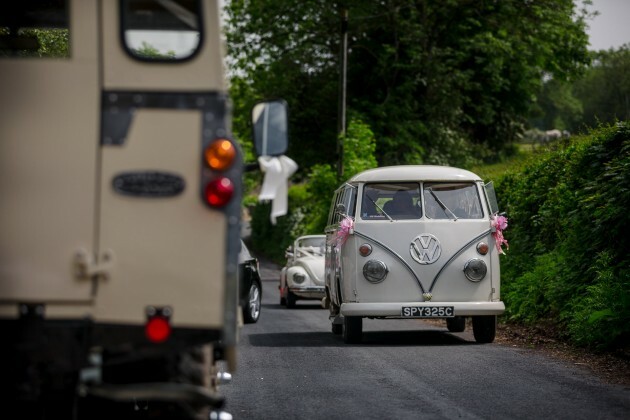 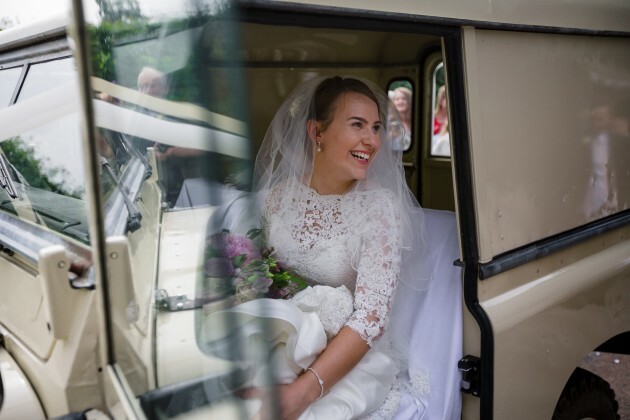 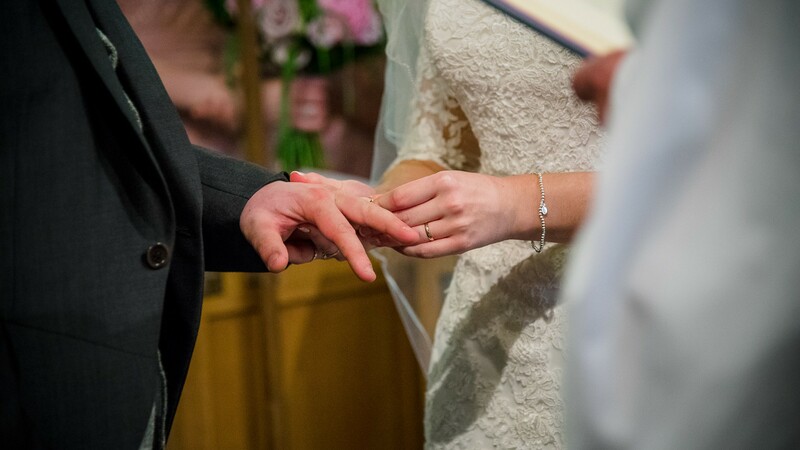 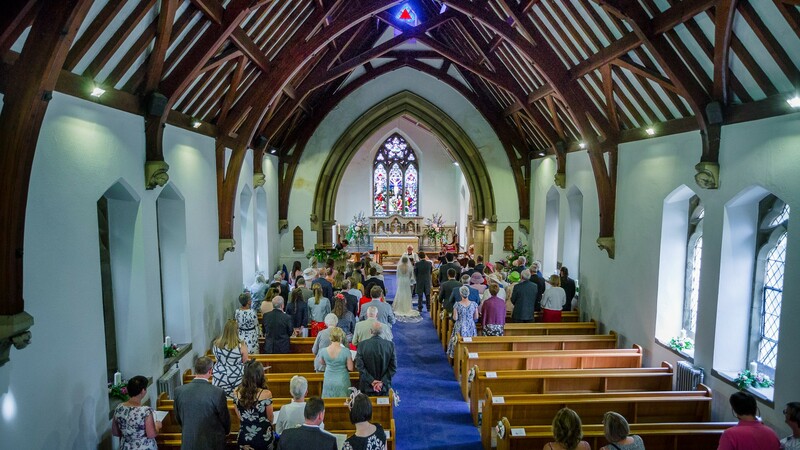 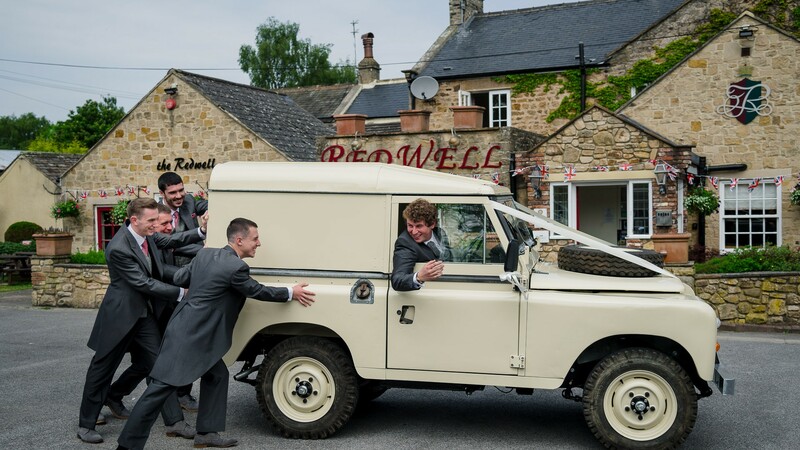 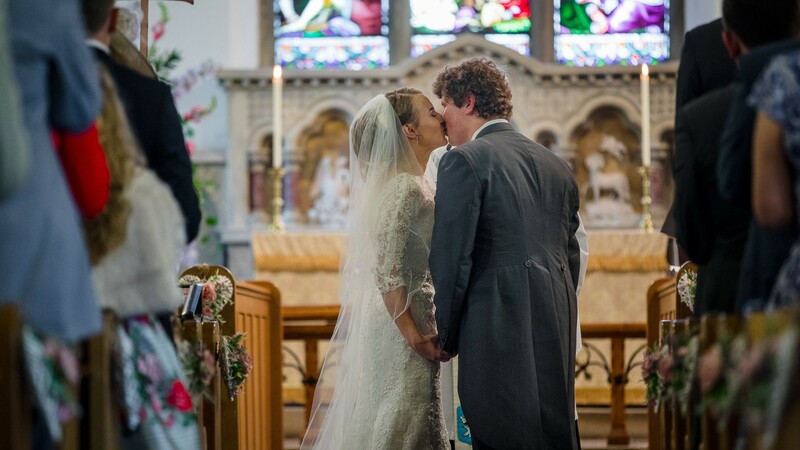 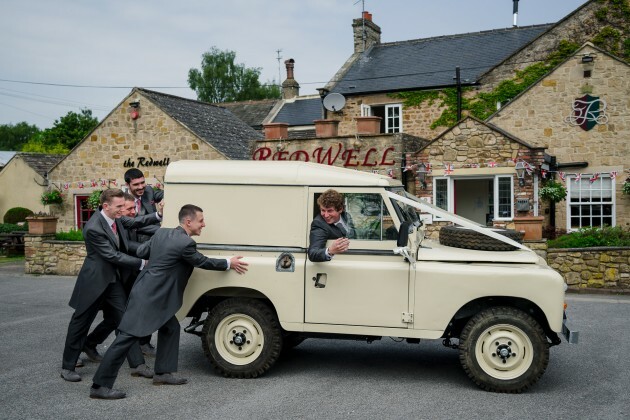 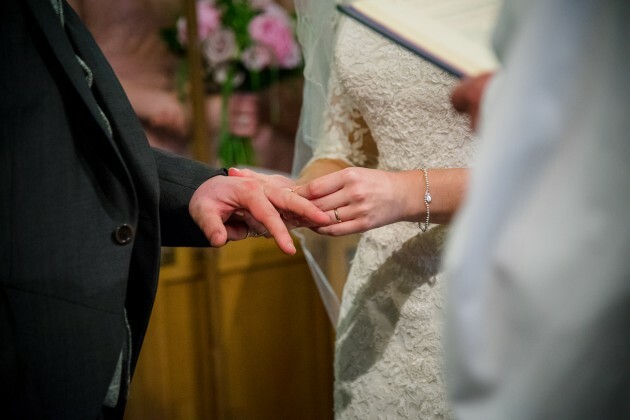 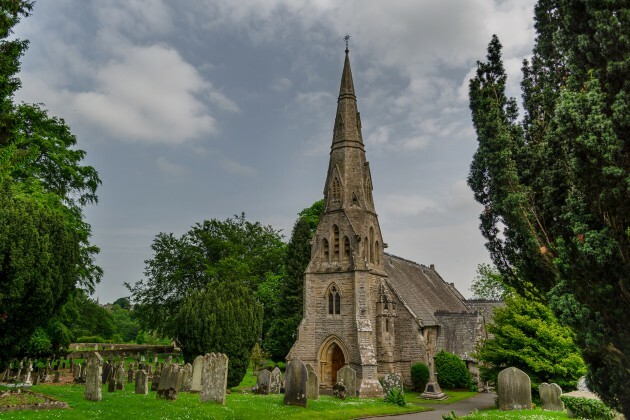 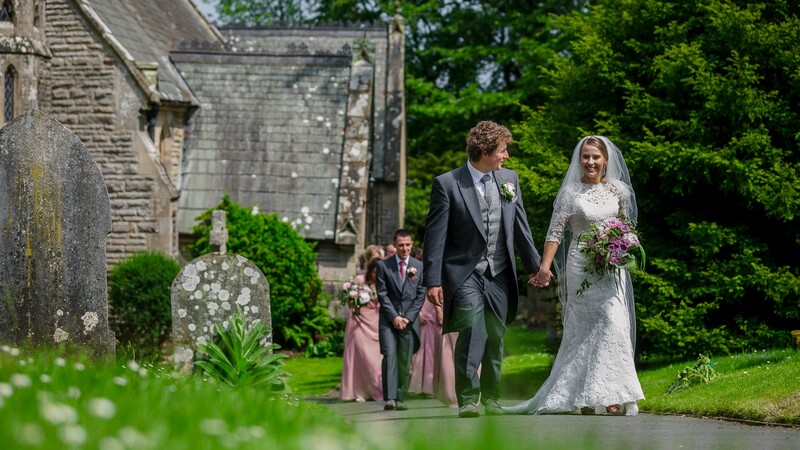 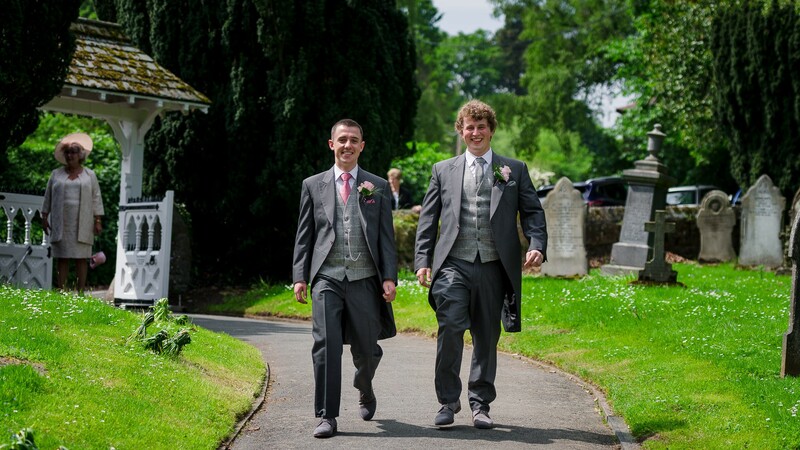 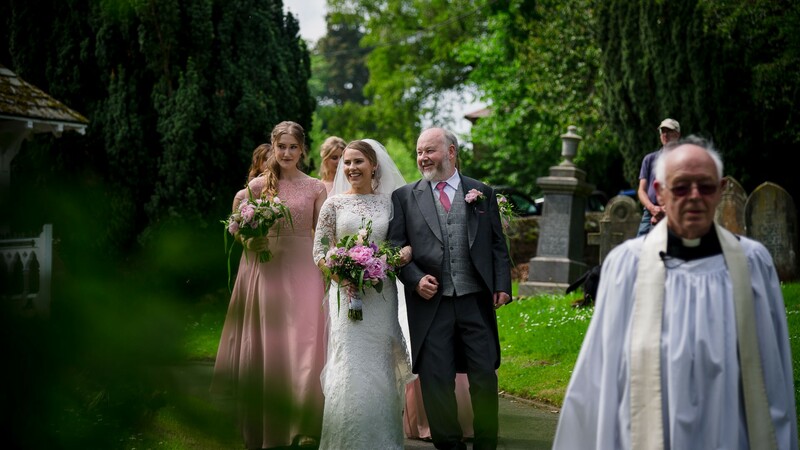 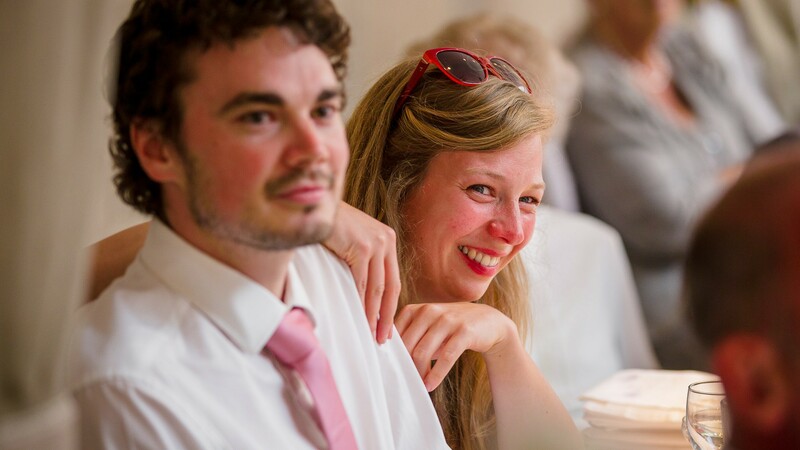 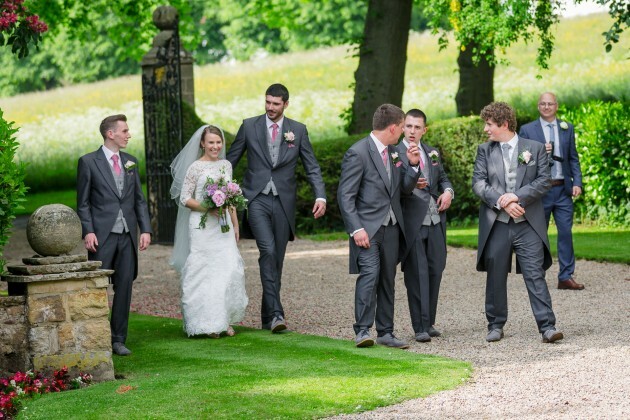 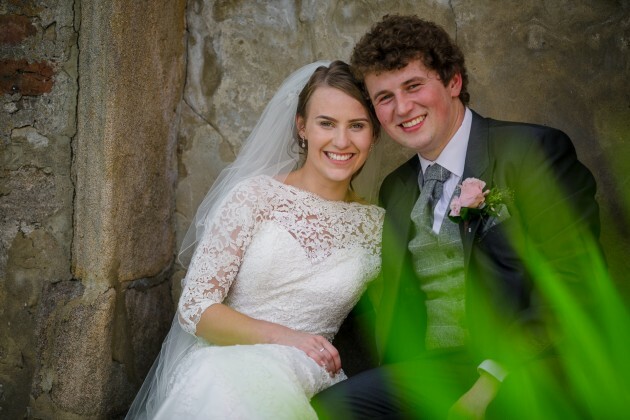 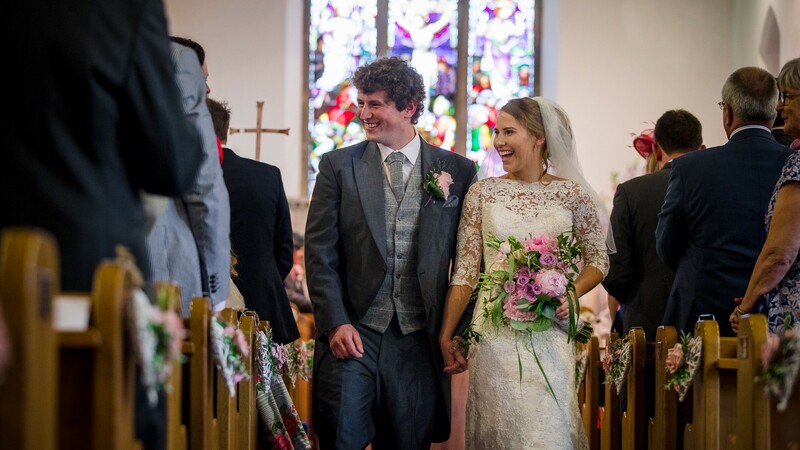 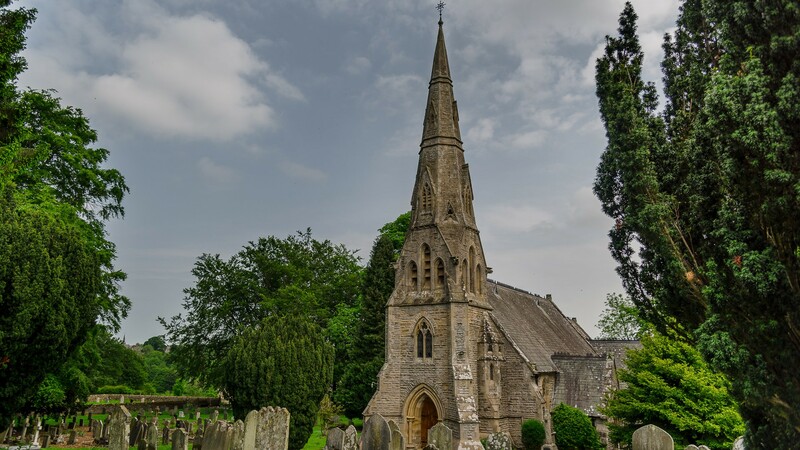 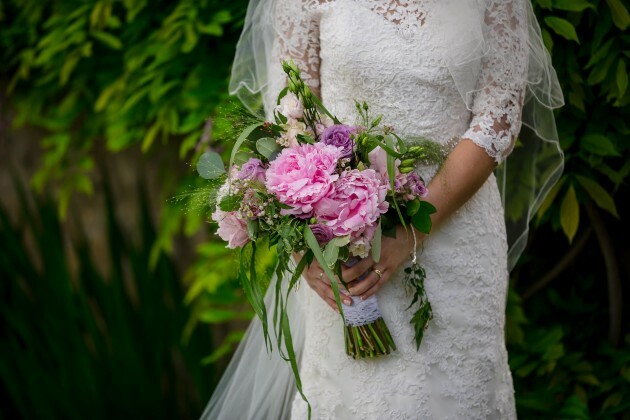 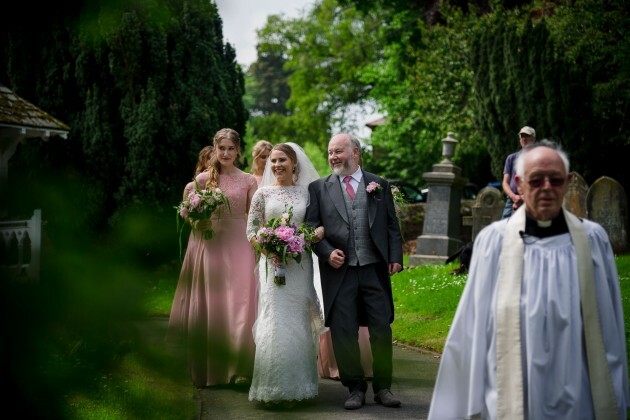 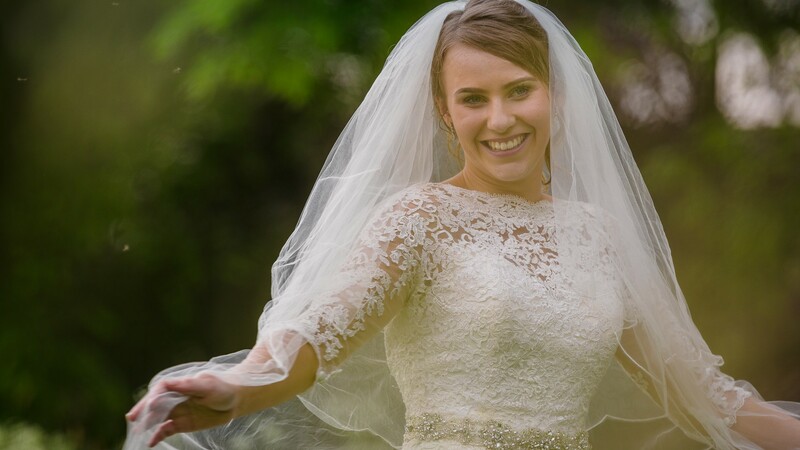 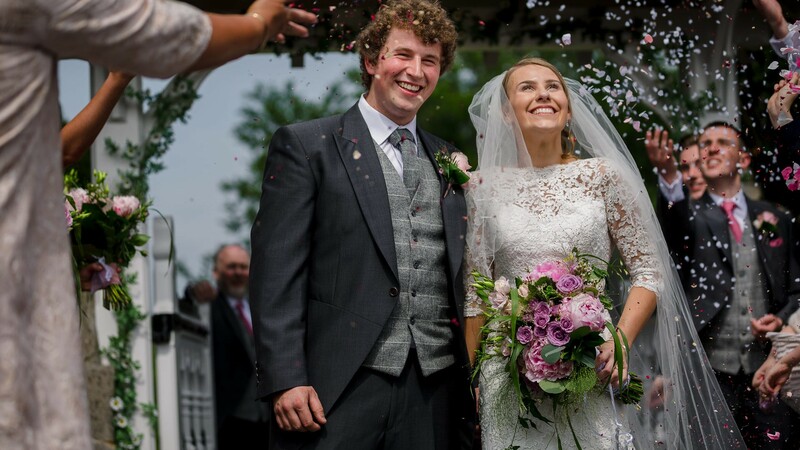 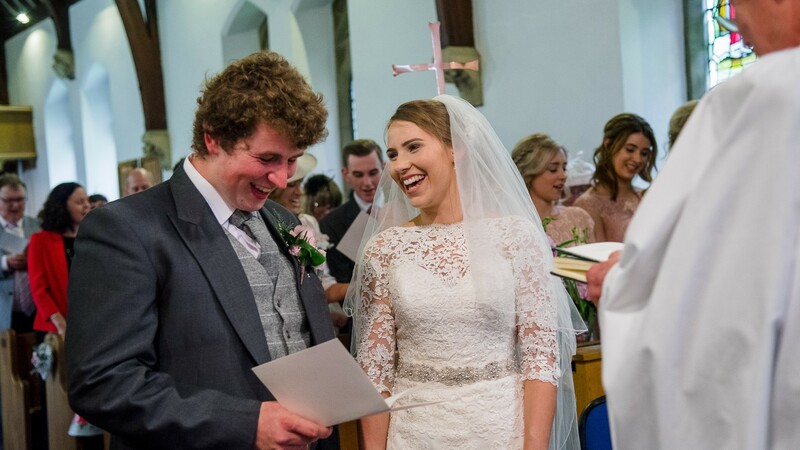 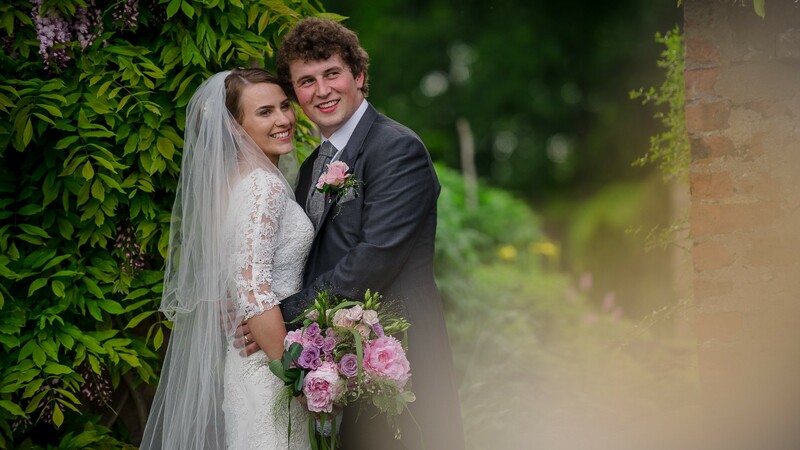 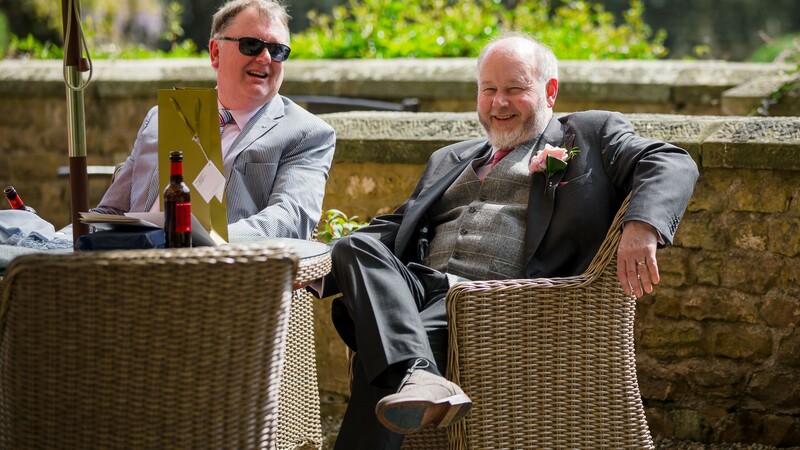 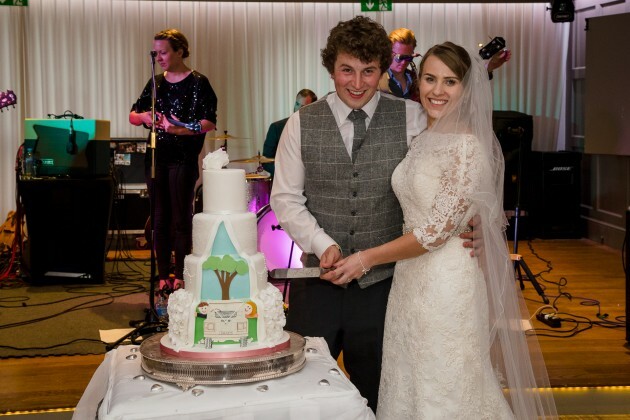 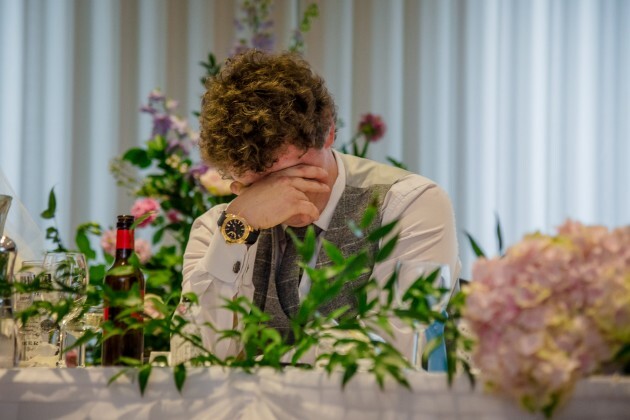 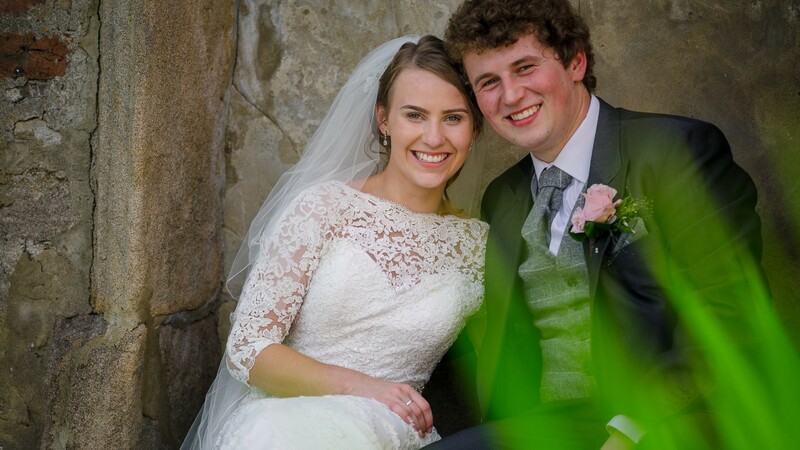 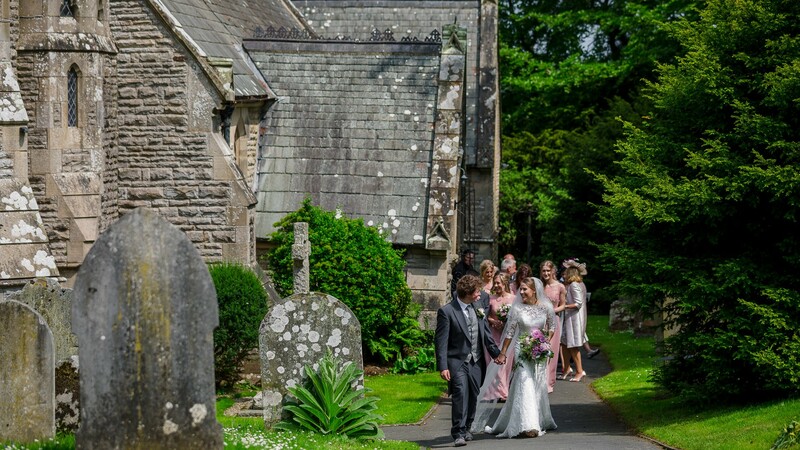 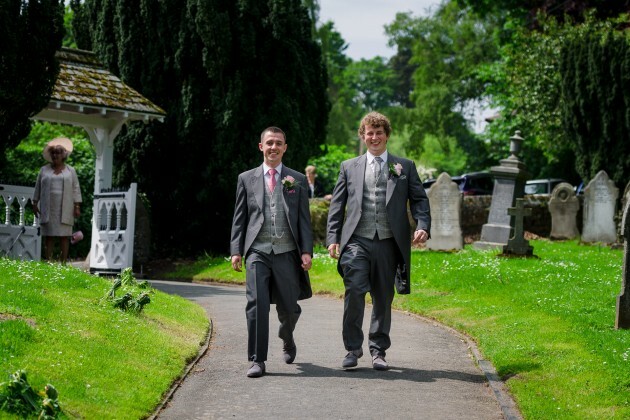 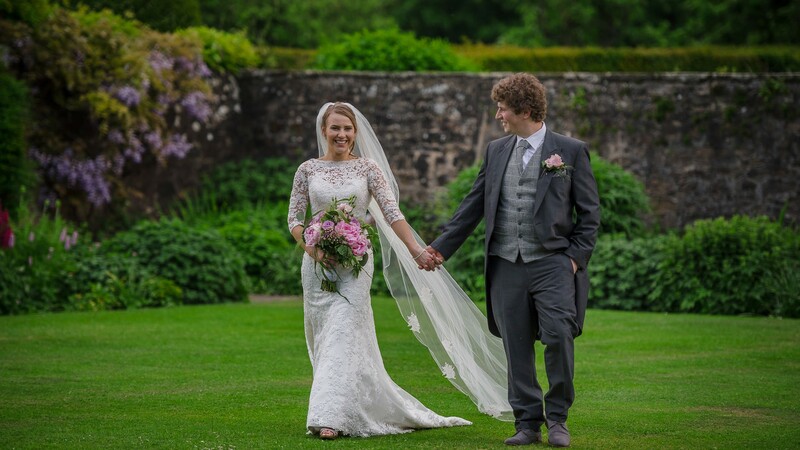 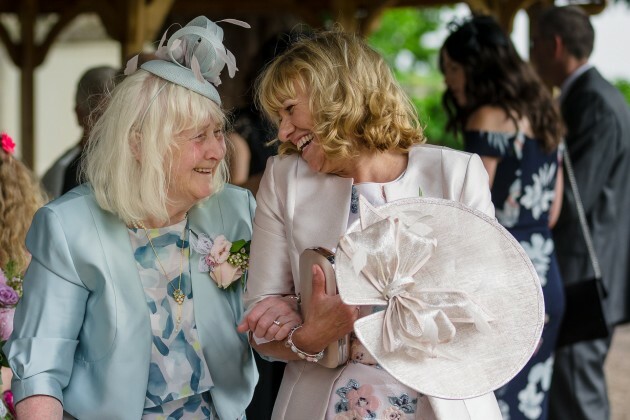 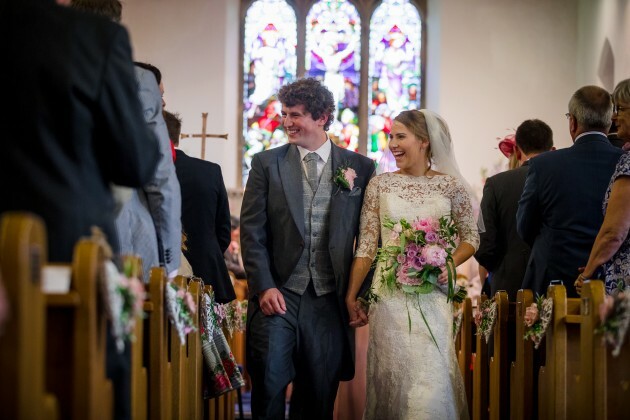 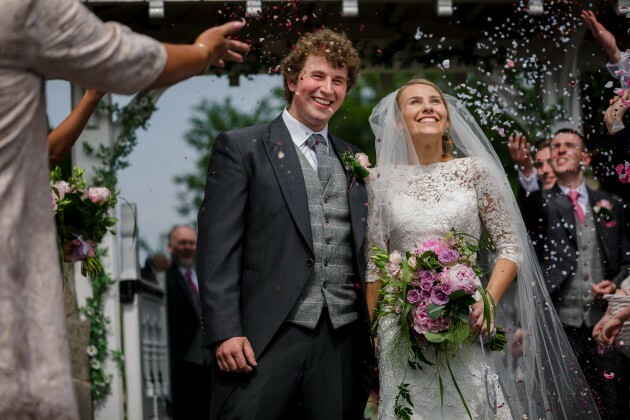 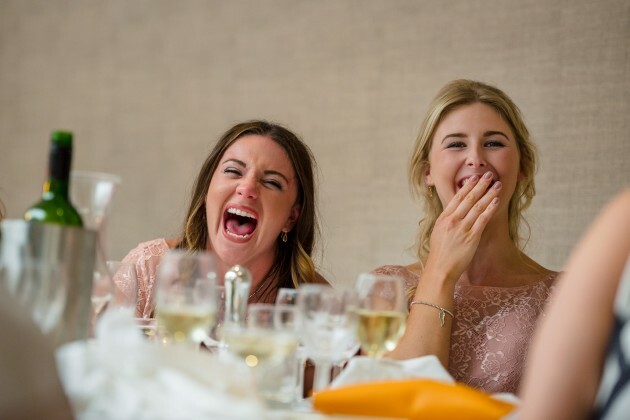 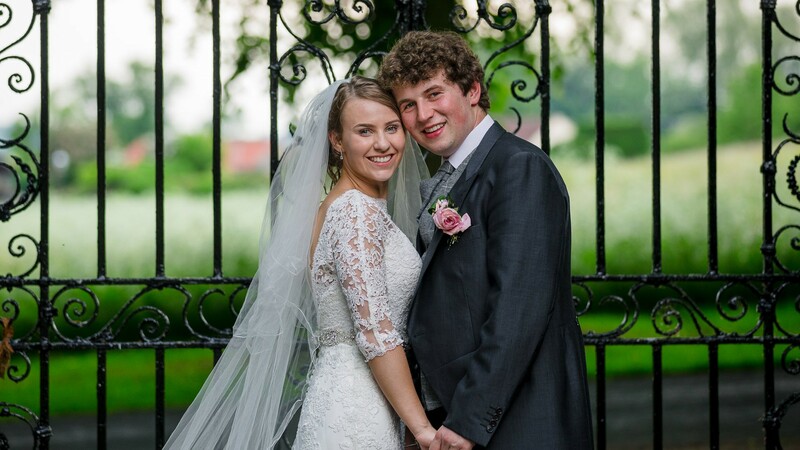 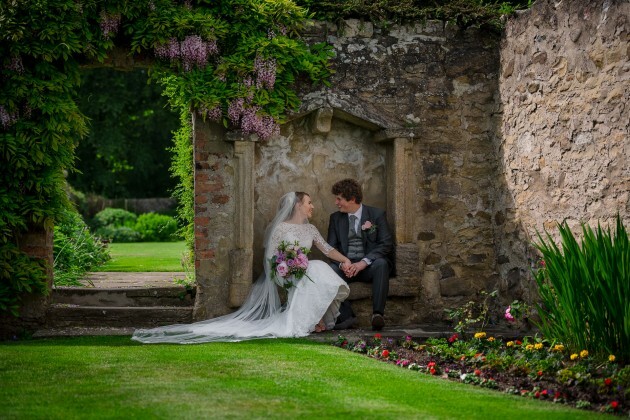 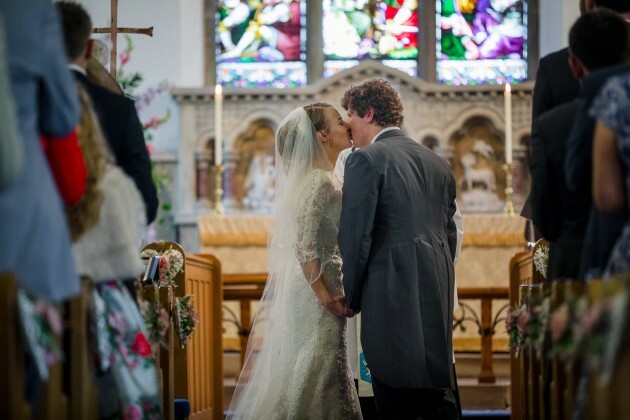 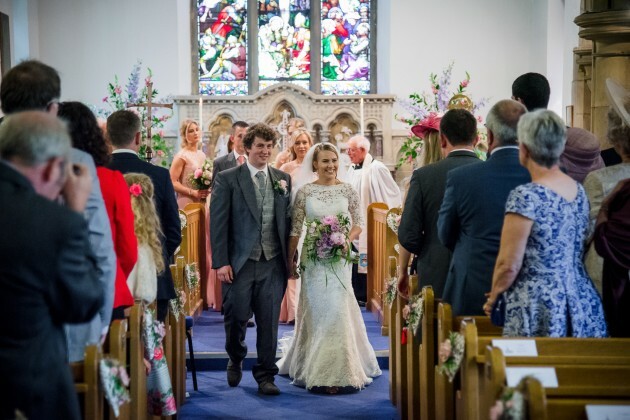 The Wedding Ceremony took place at Holy Trinity Church, Startforth as Becky has family connections there, followed by the wedding Reception at Headlam Hall. 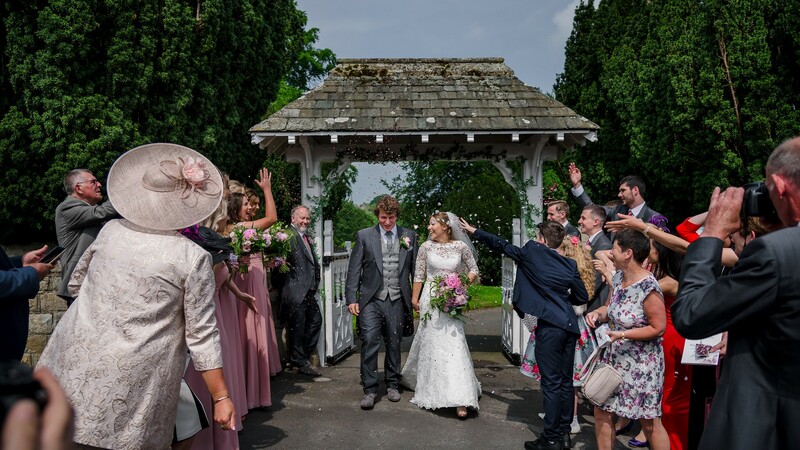 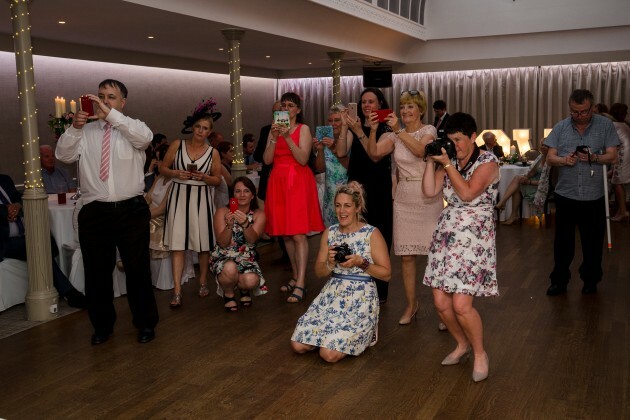 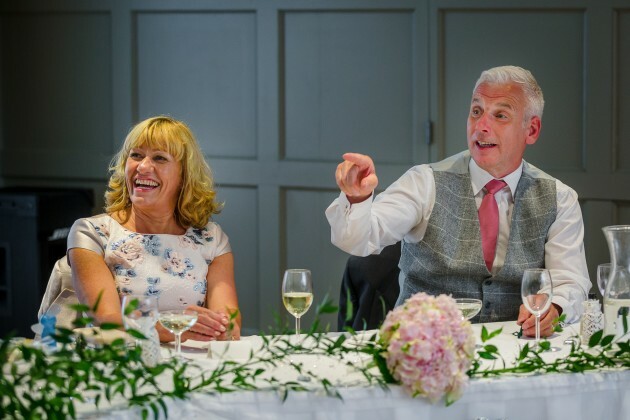 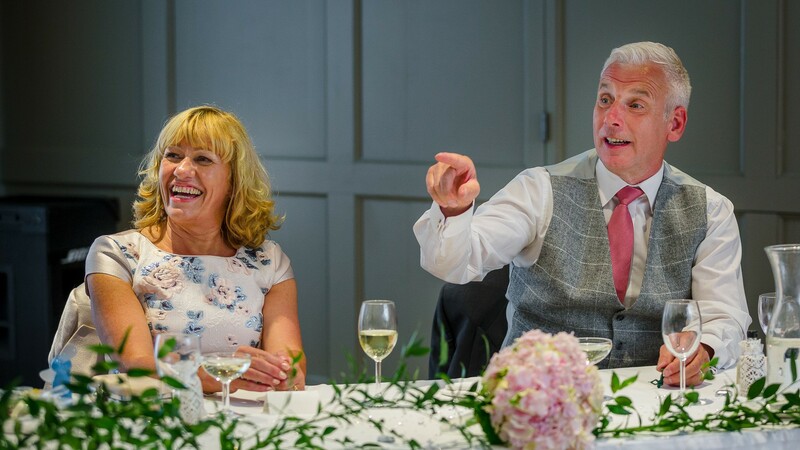 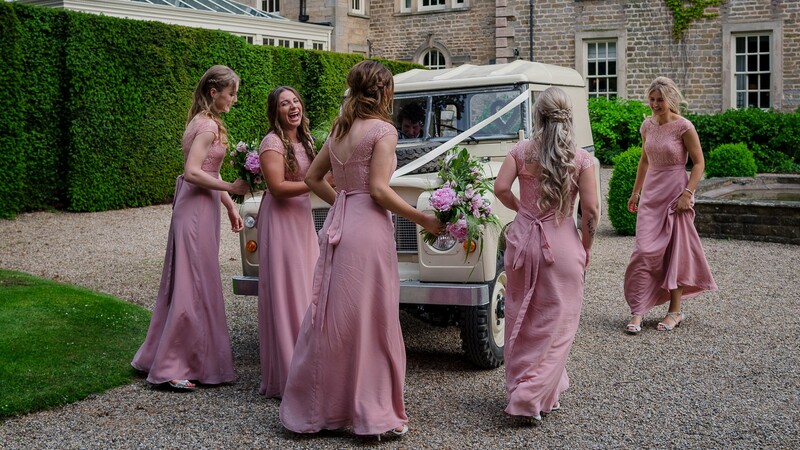 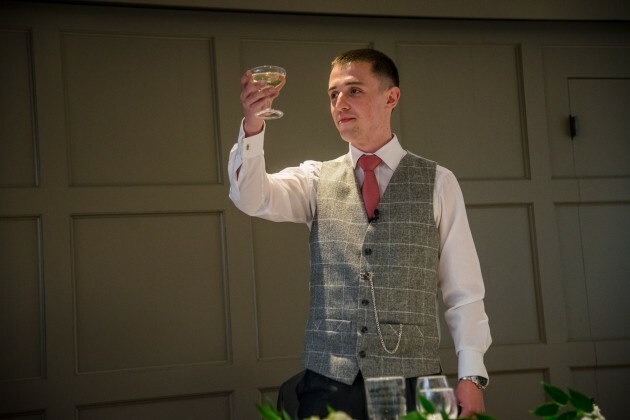 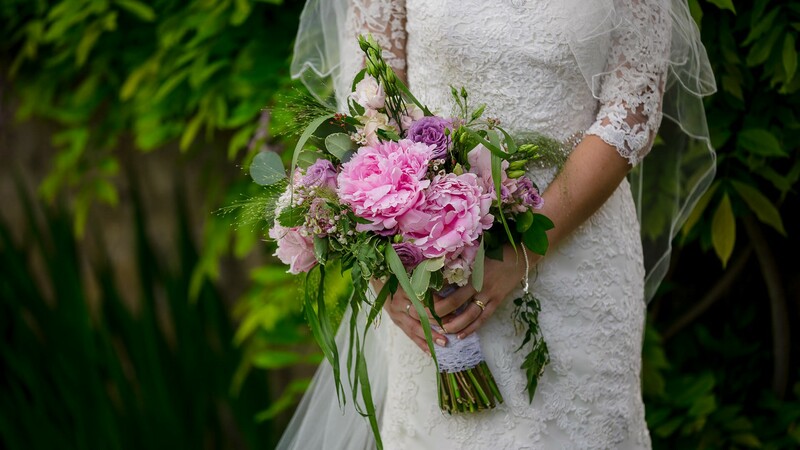 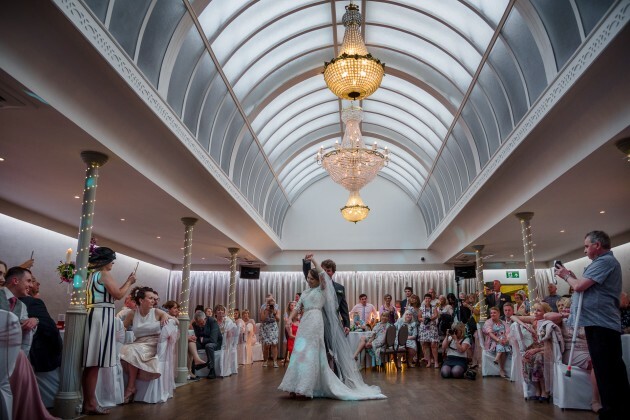 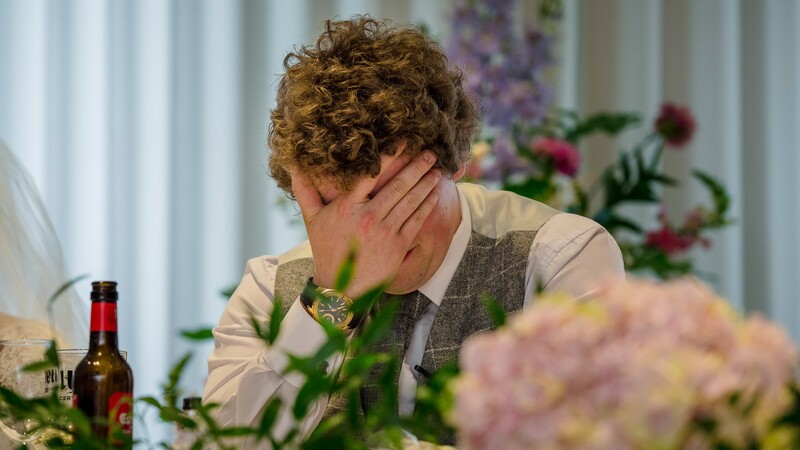 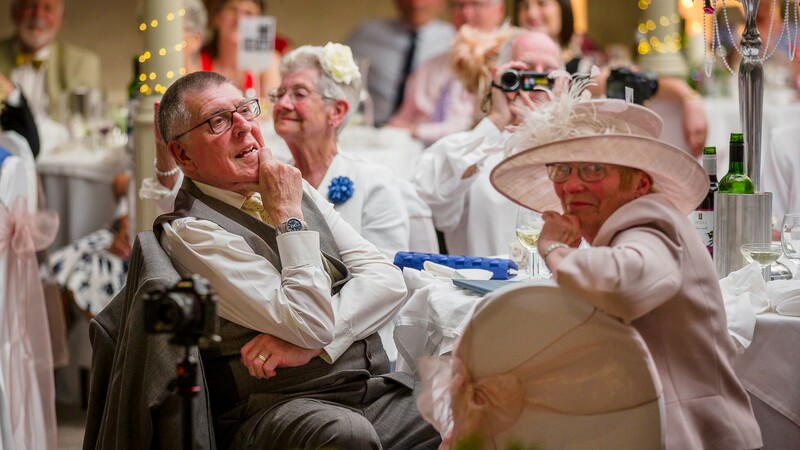 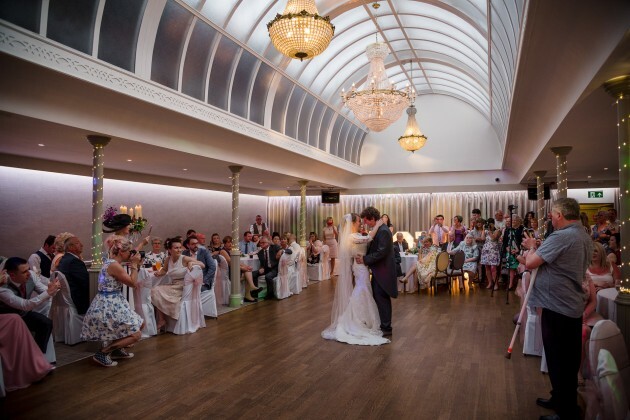 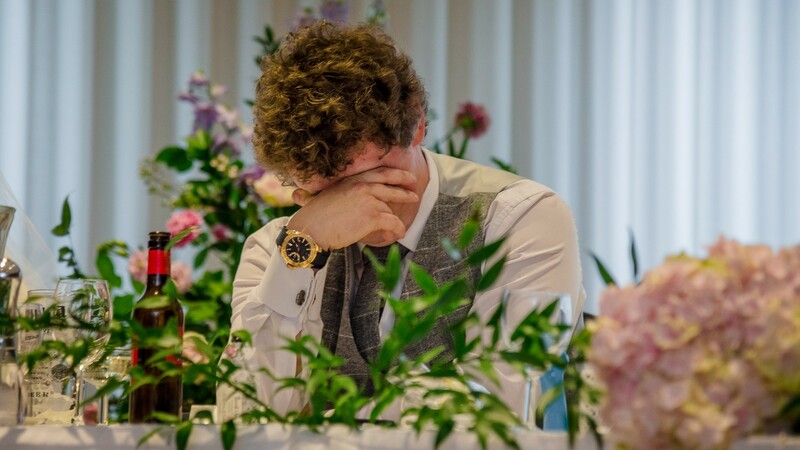 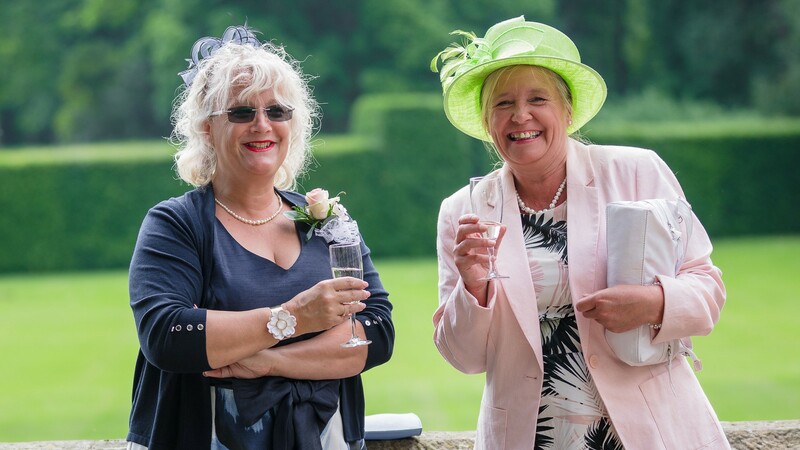 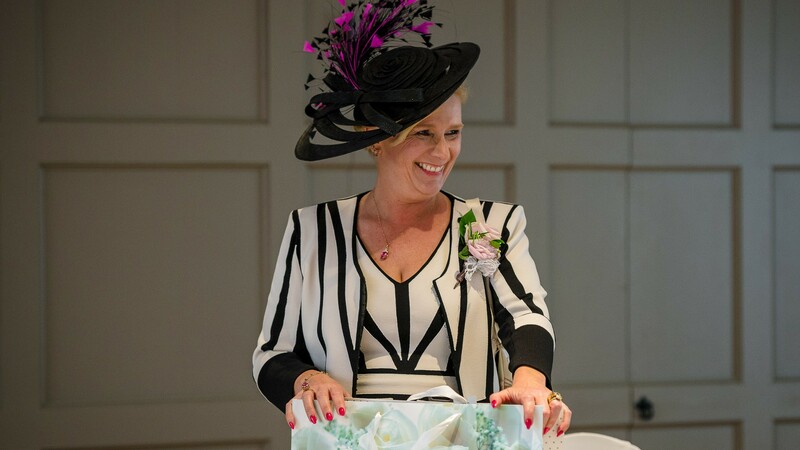 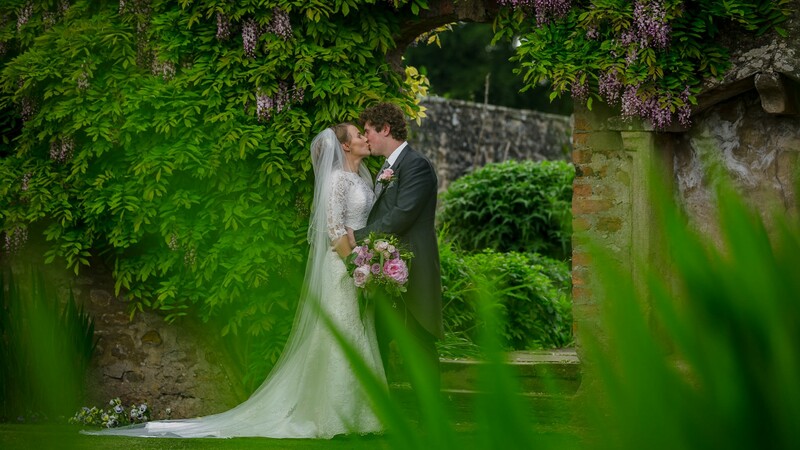 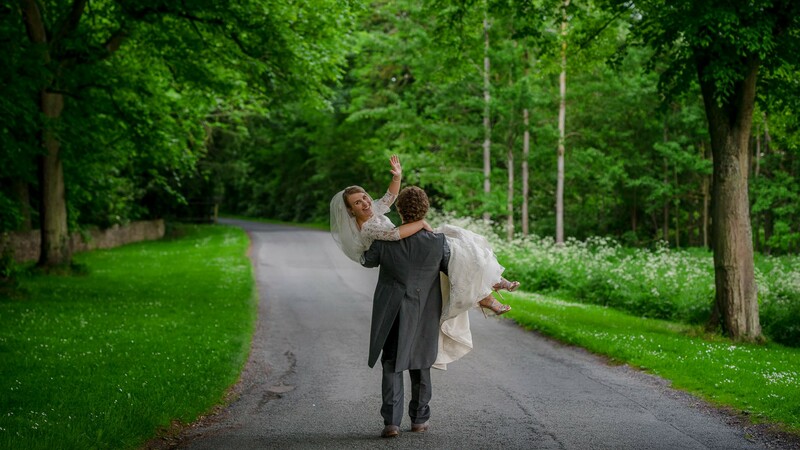 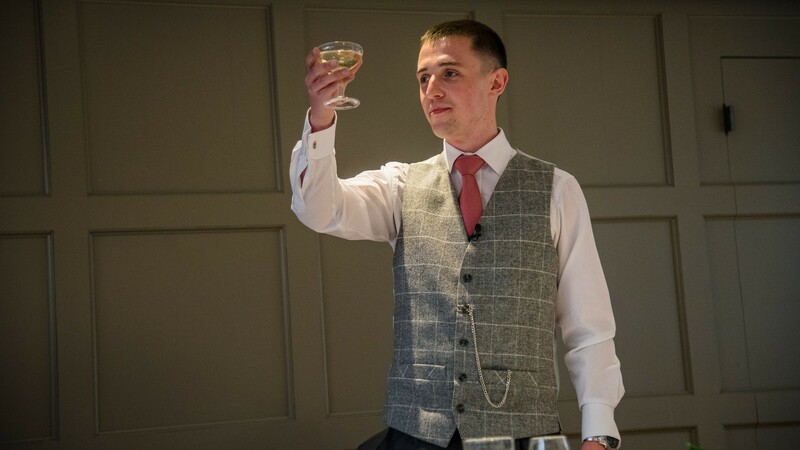 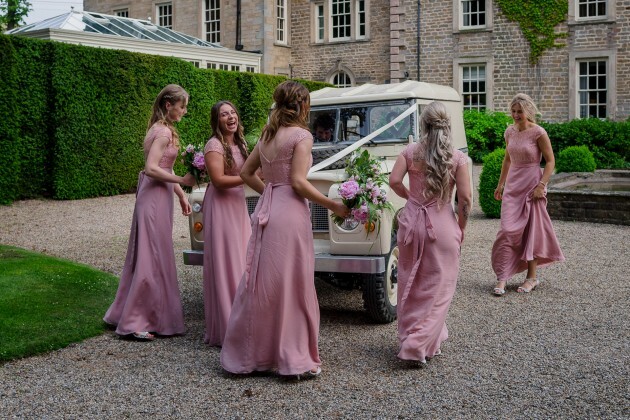 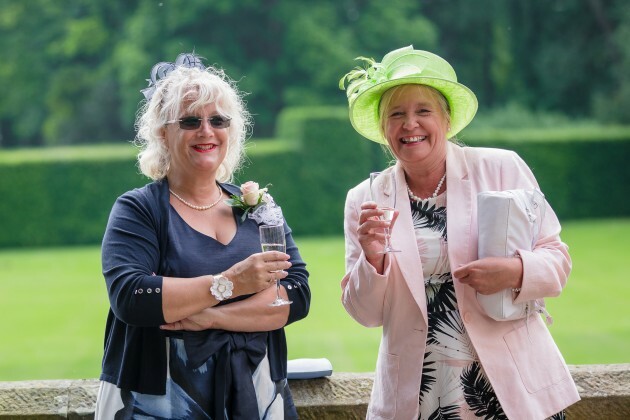 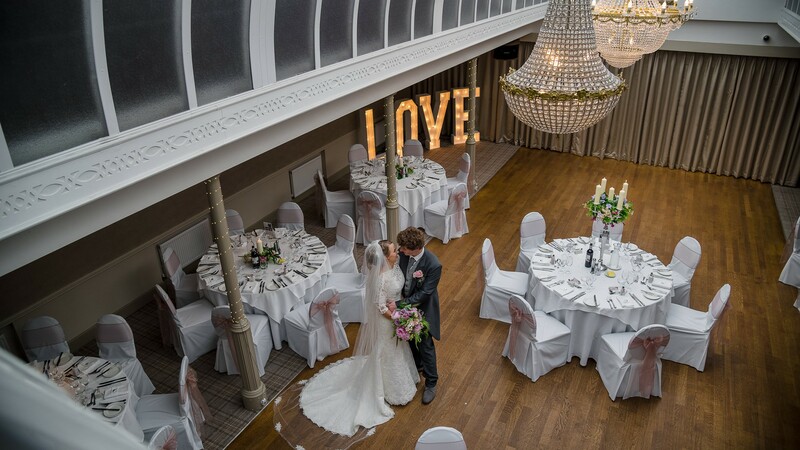 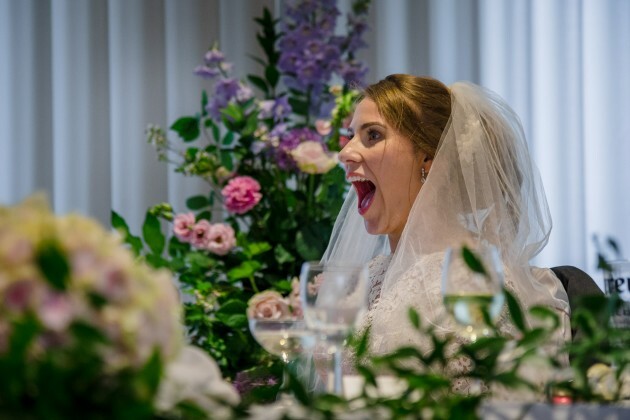 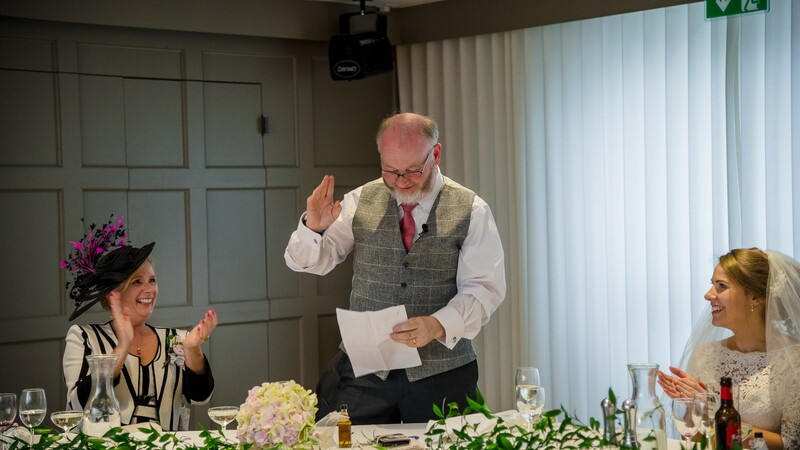 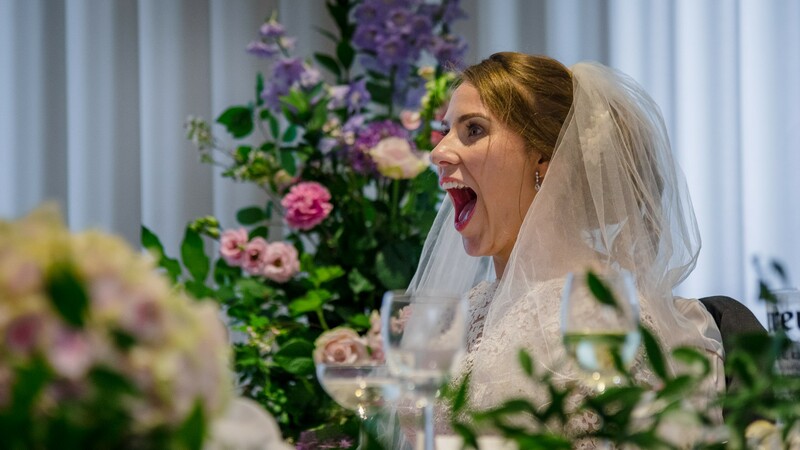 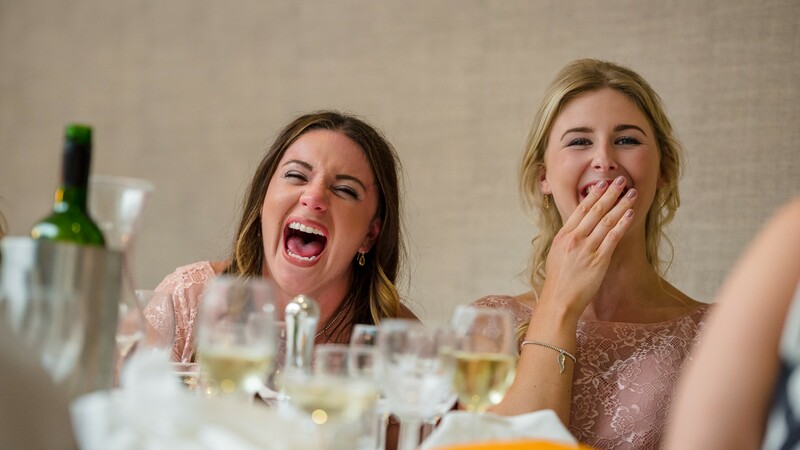 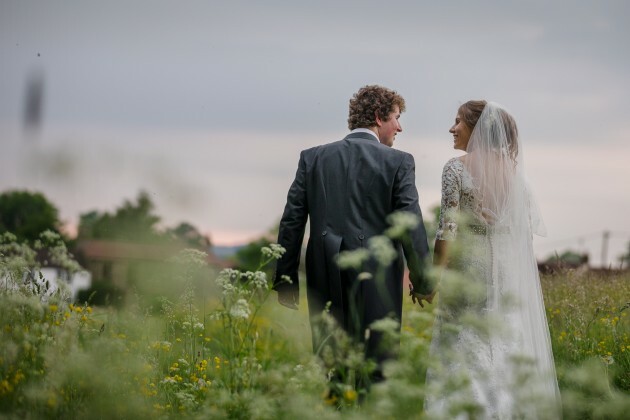 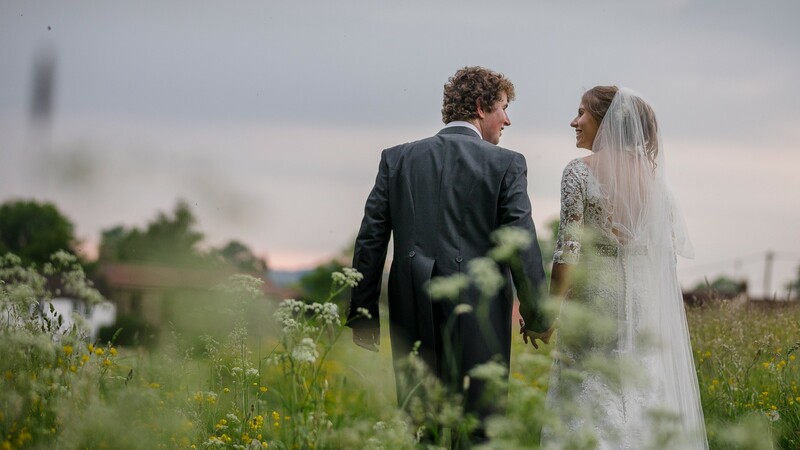 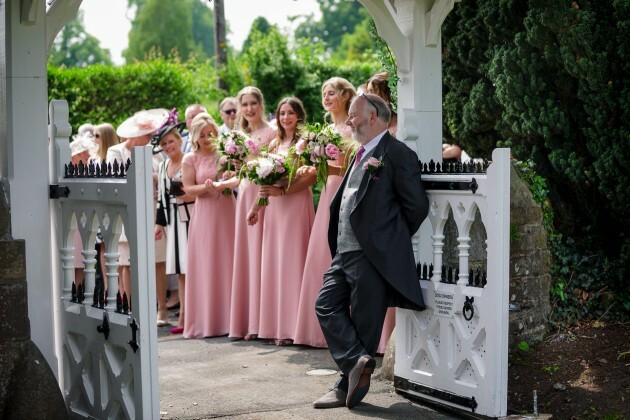 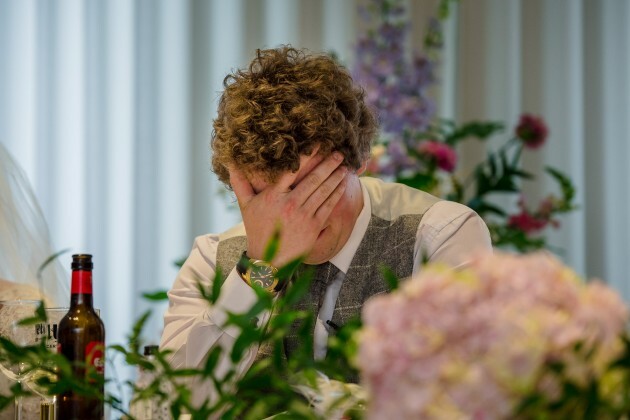 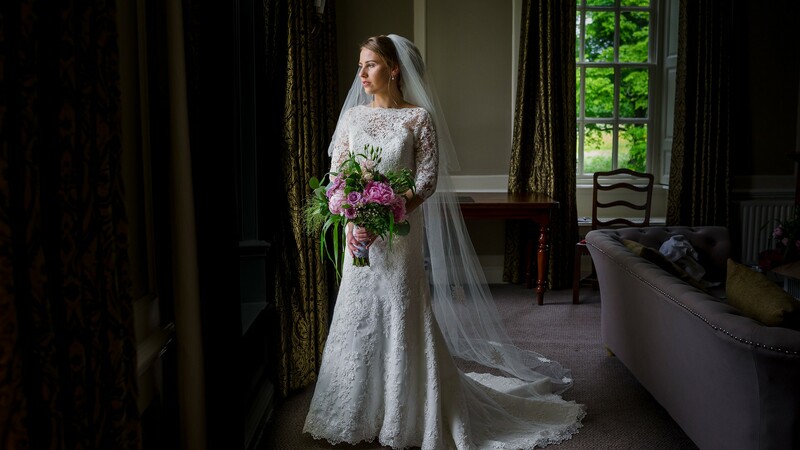 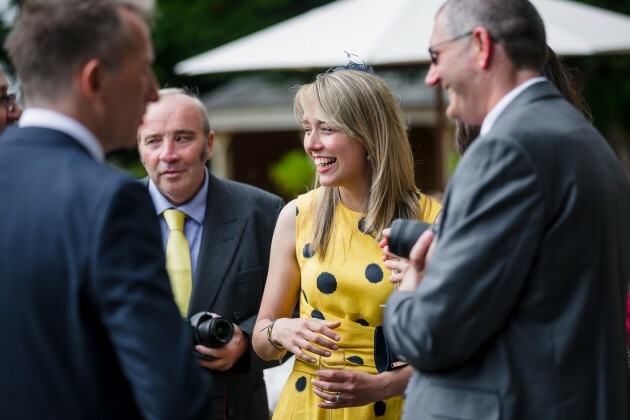 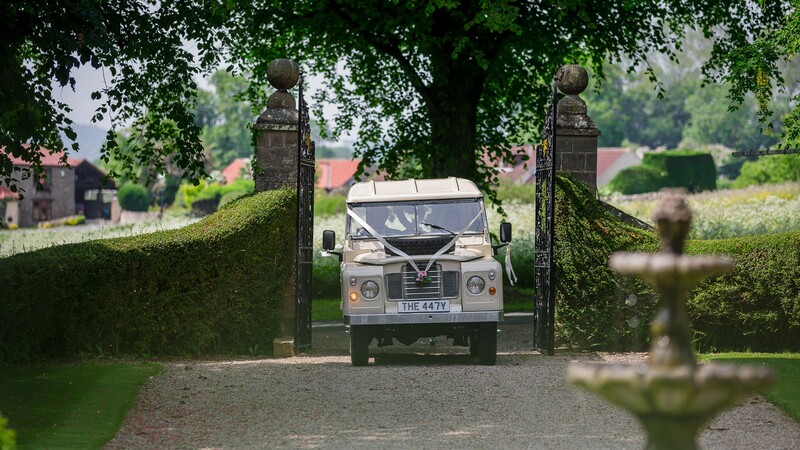 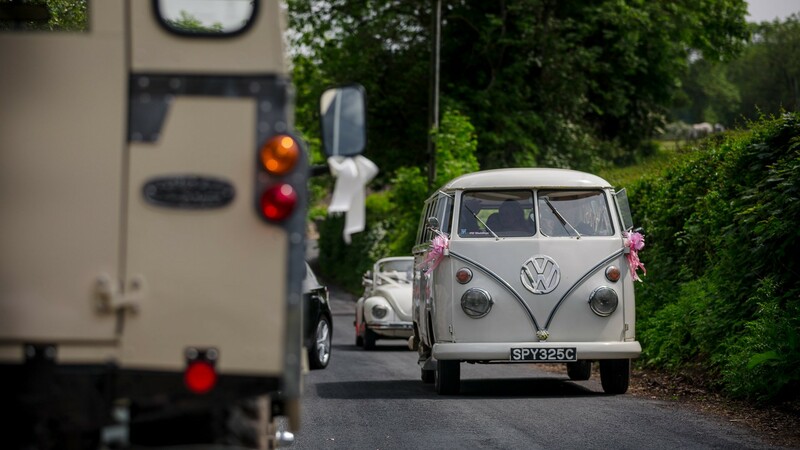 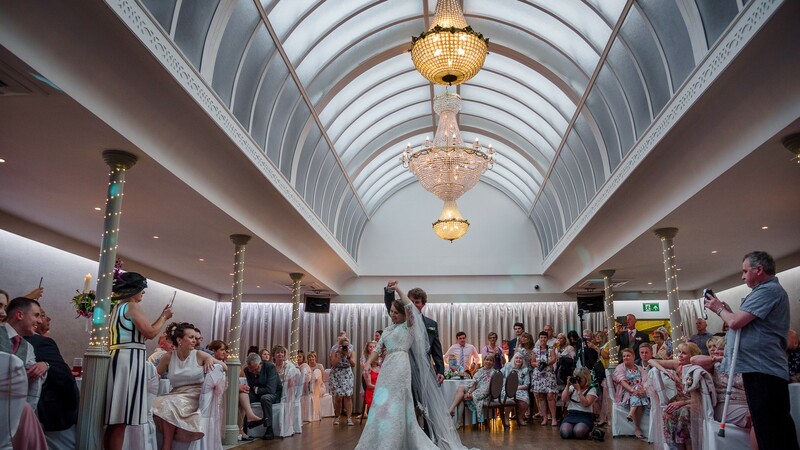 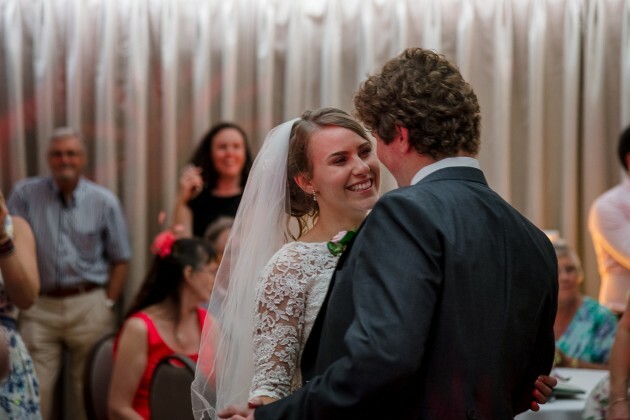 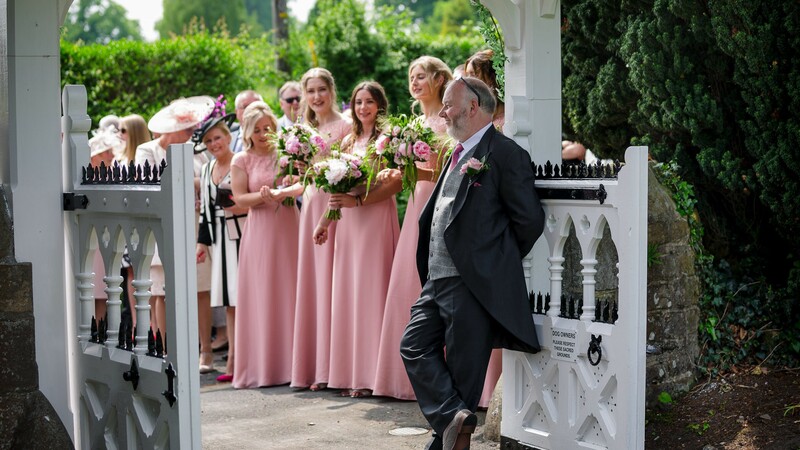 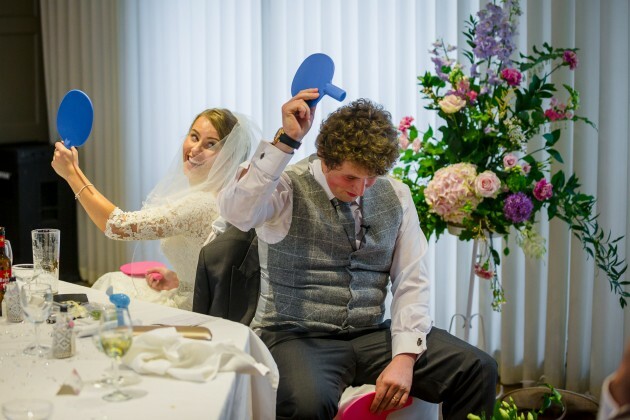 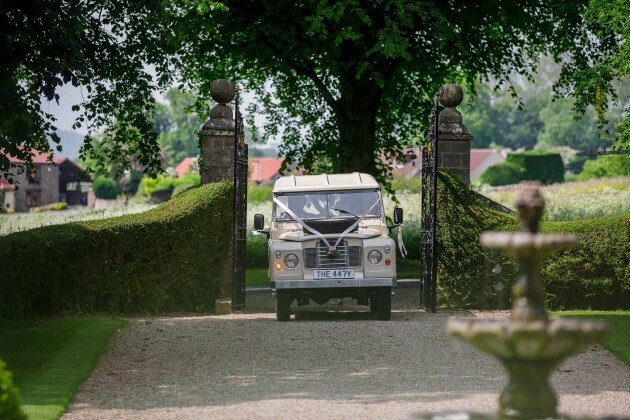 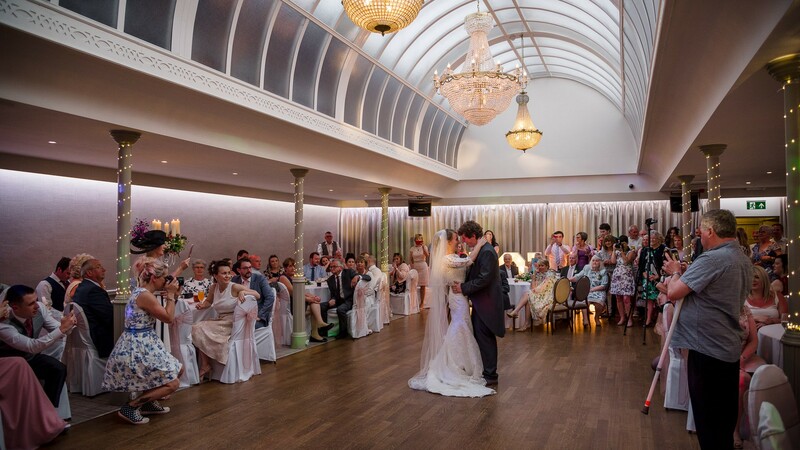 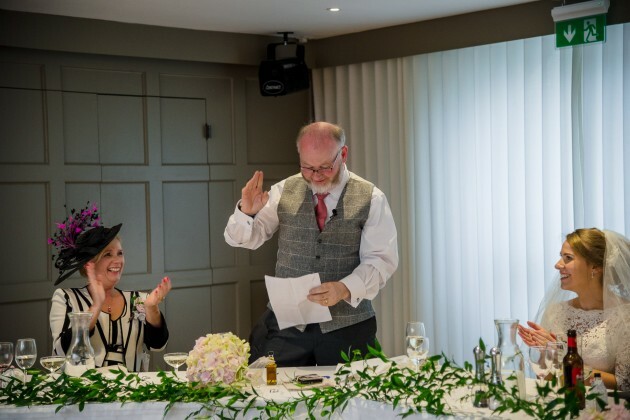 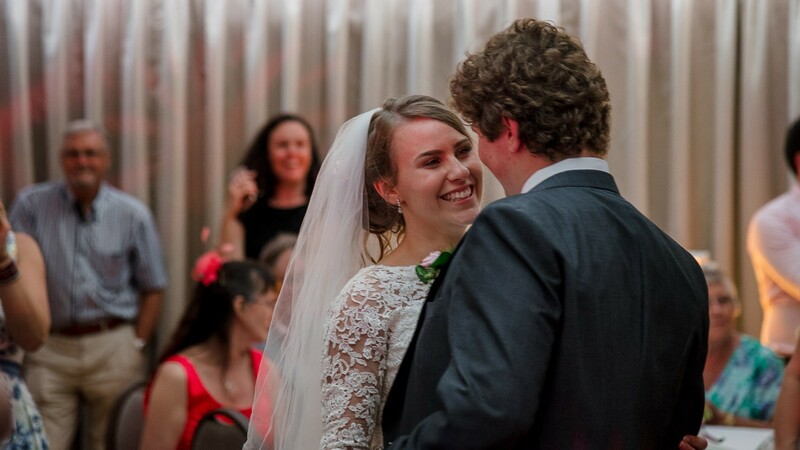 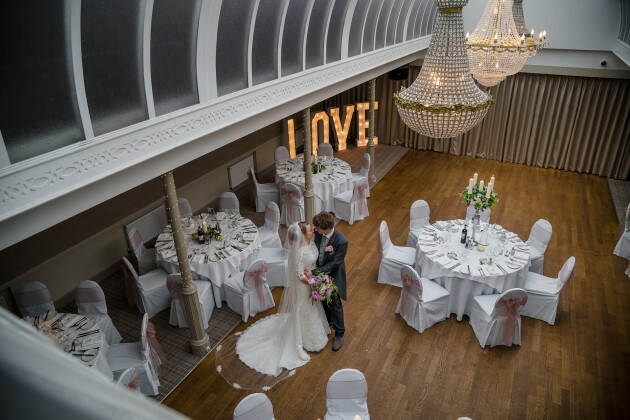 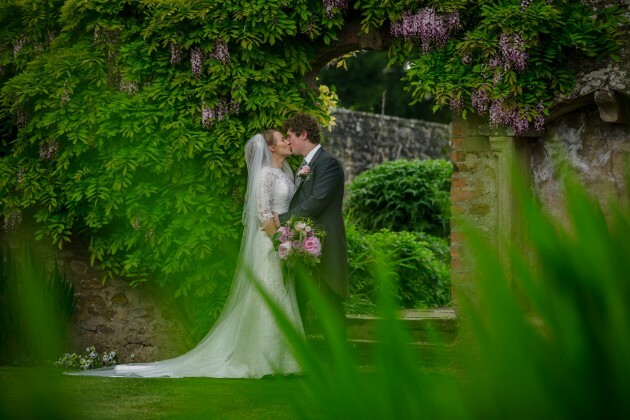 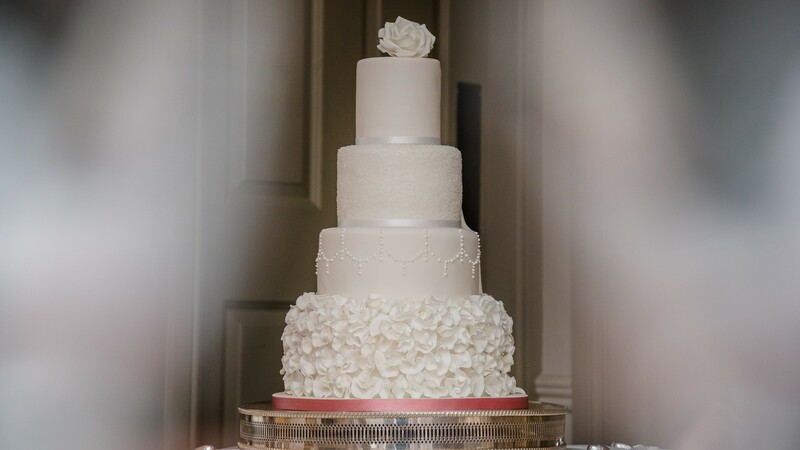 As always Angela and the Headlam team were fabulous, they always go the extra mile to make each of their couples feel extra special on their Big Day. 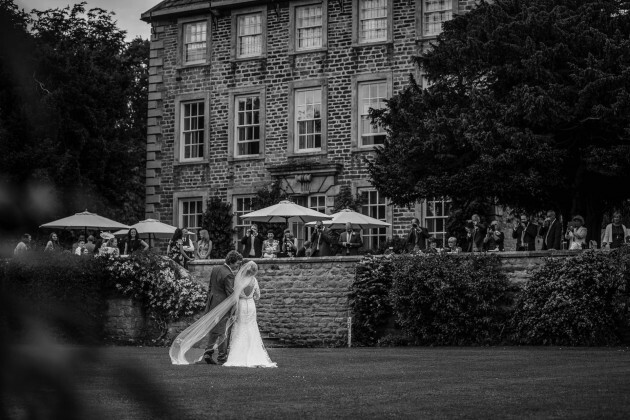 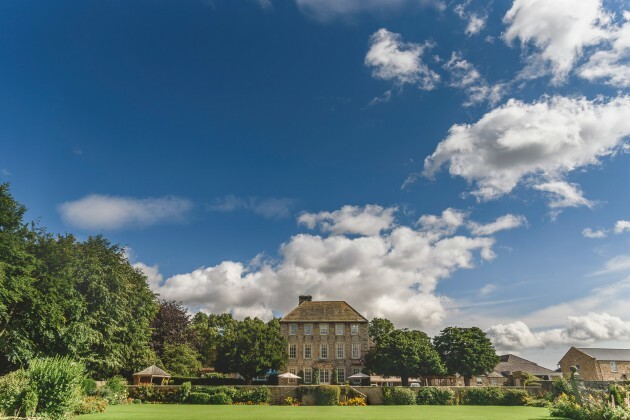 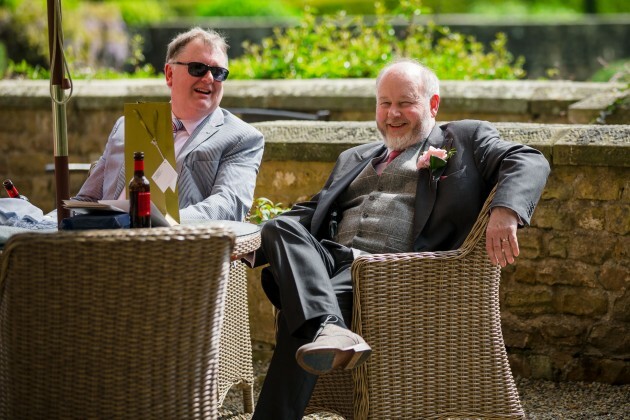 Headlam Hall's grounds were as always stunning and to top it all the sun shone all day. 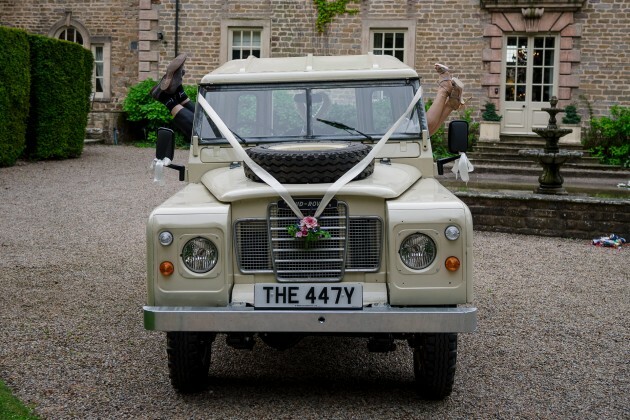 Such a perfect day and as you can see, the Landrover made several guest appearances.